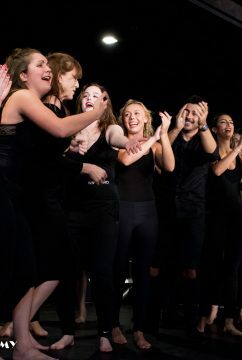 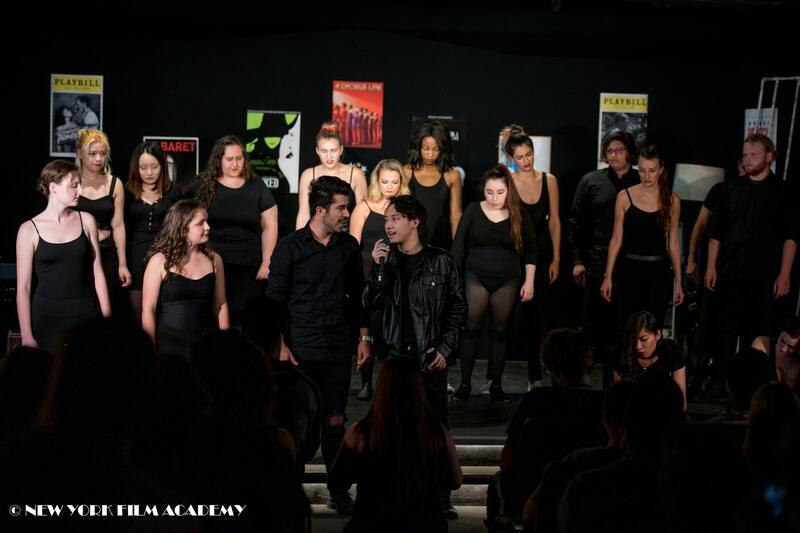 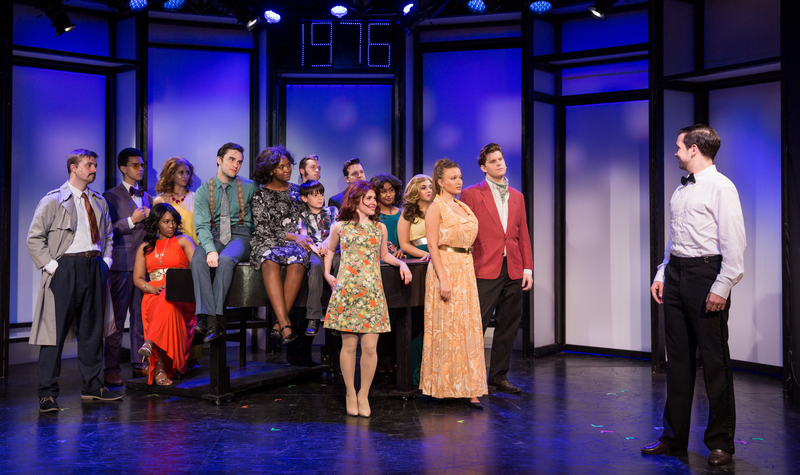 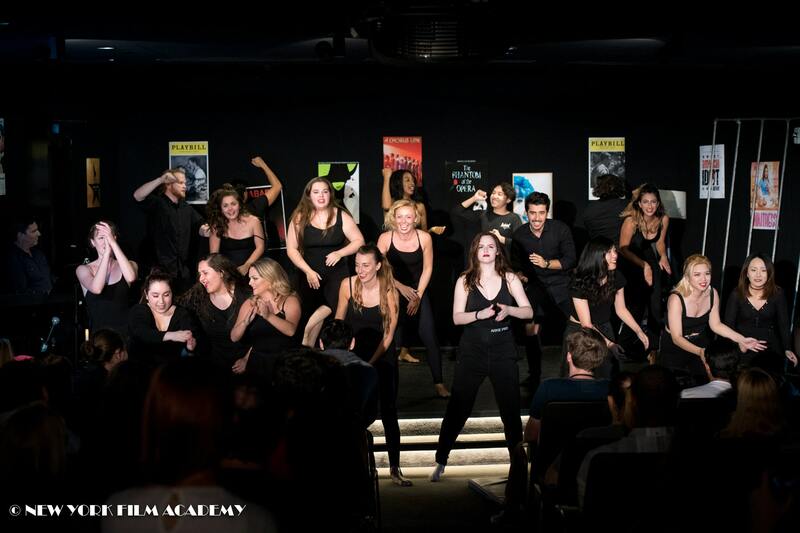 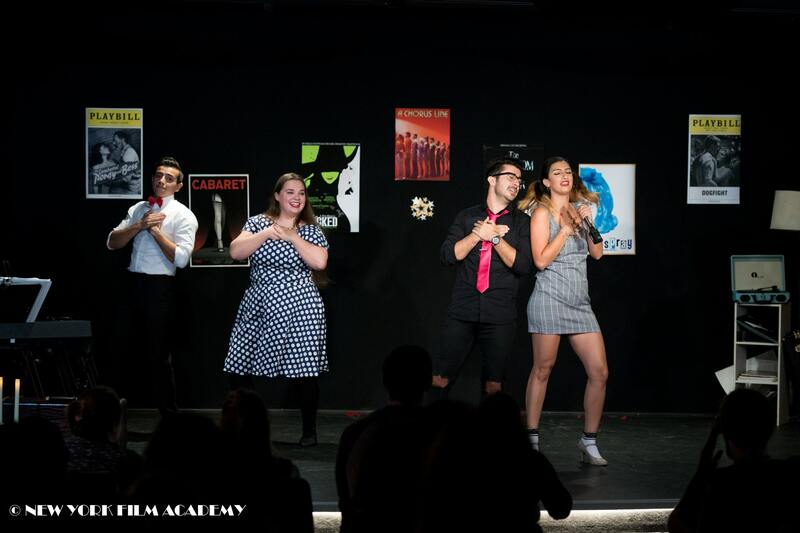 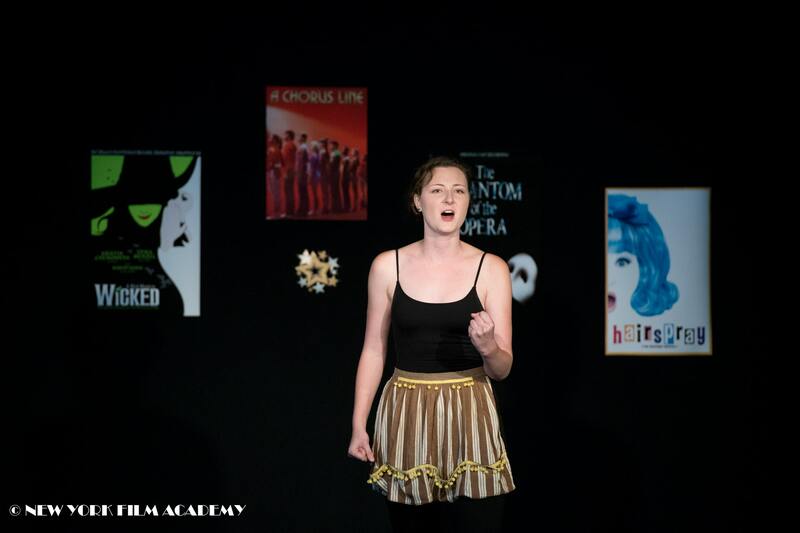 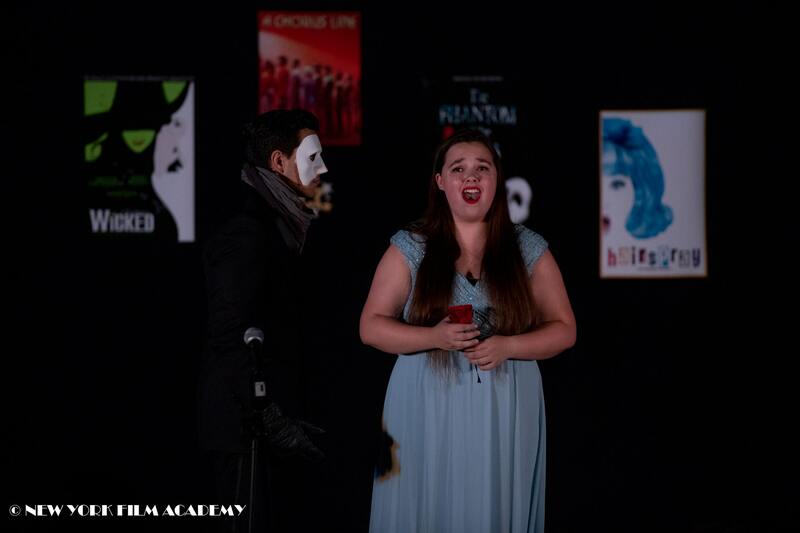 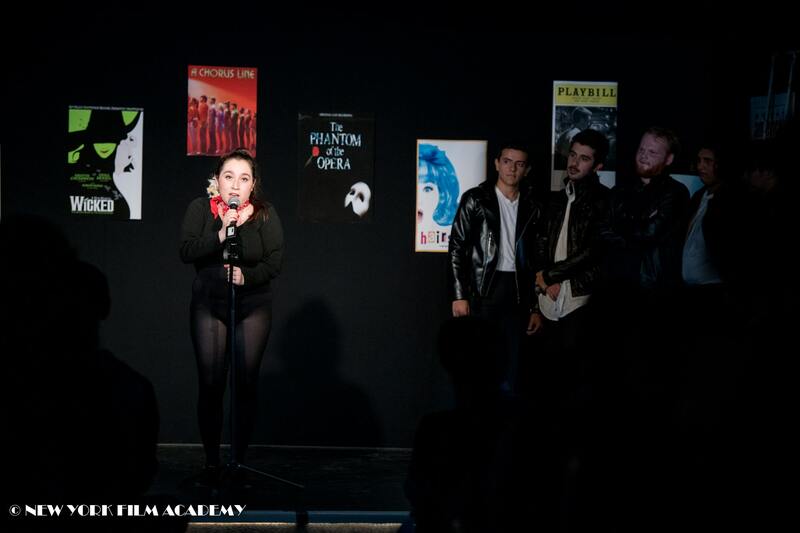 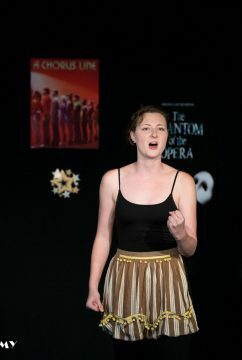 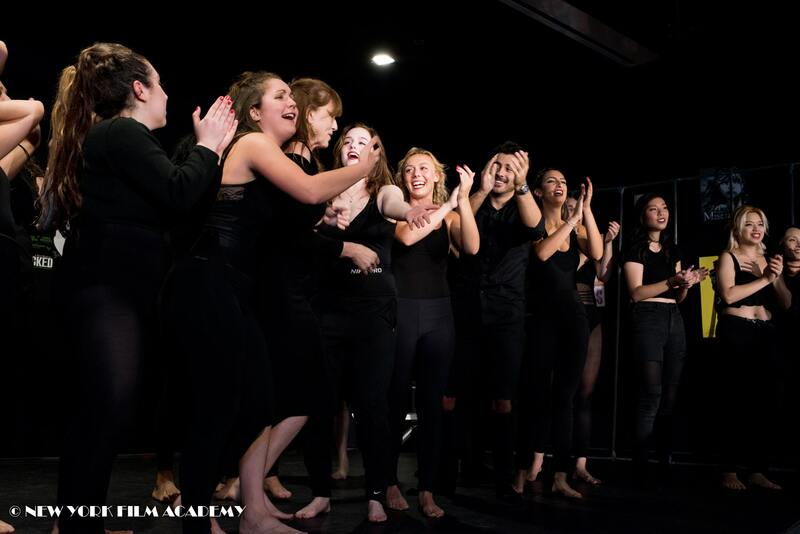 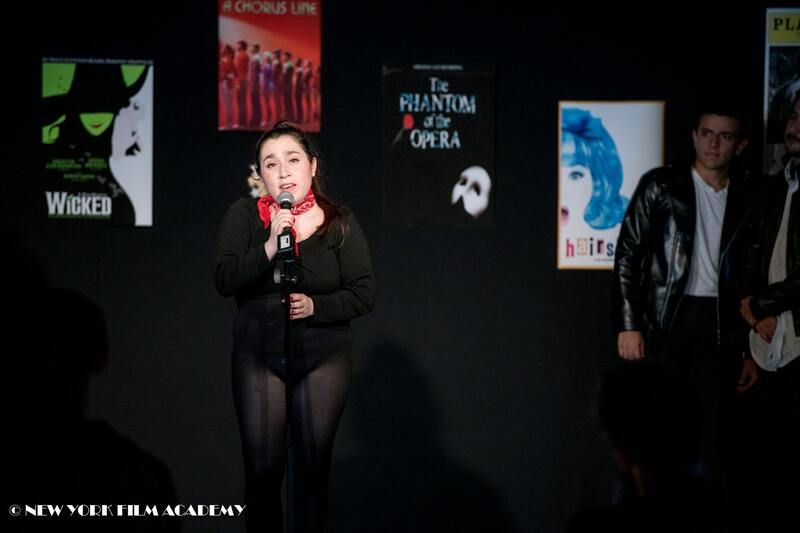 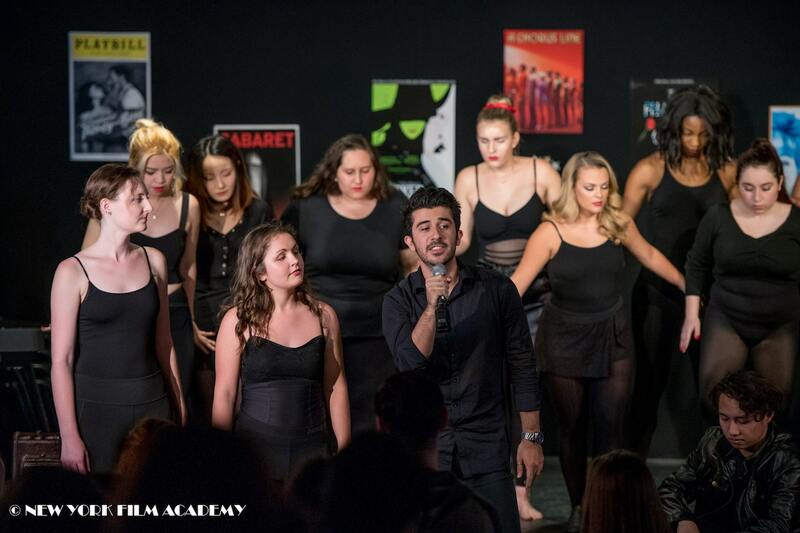 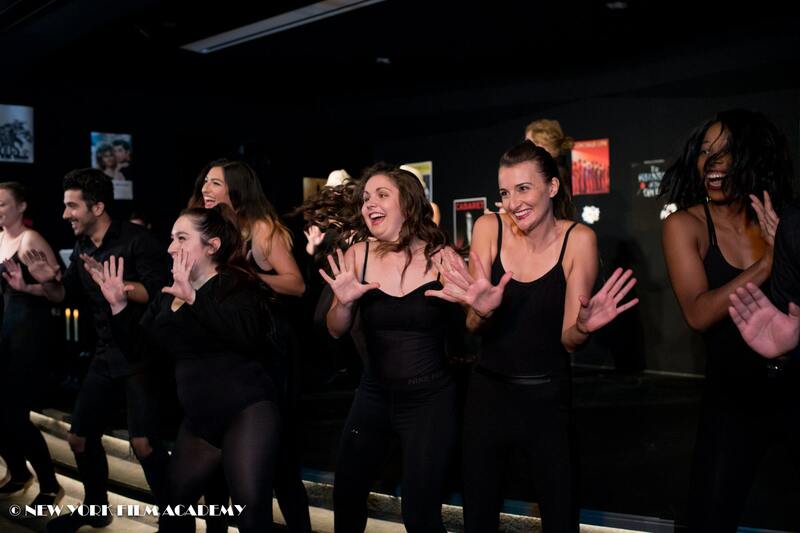 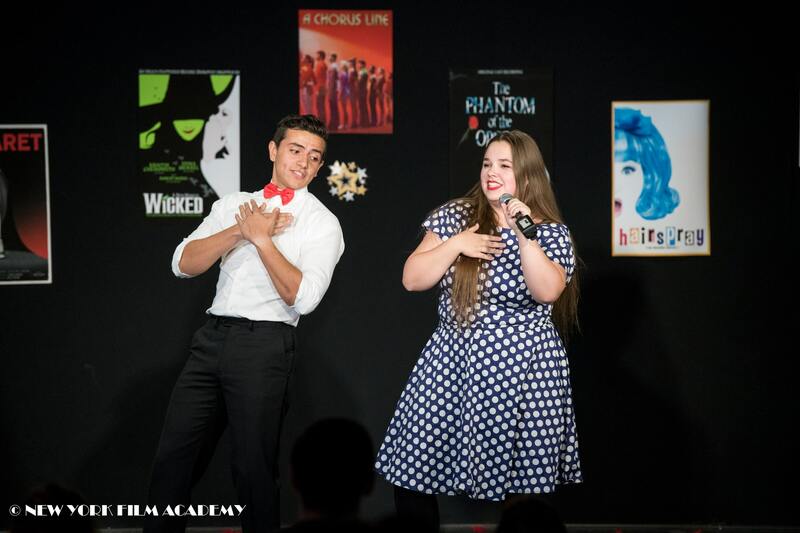 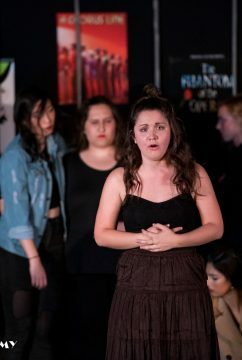 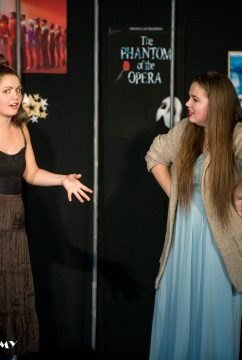 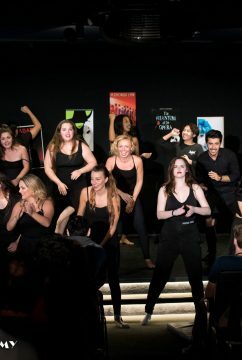 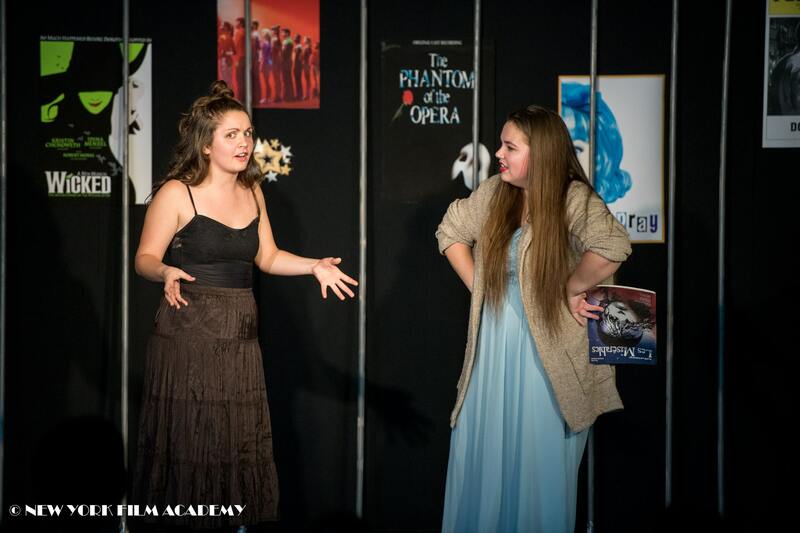 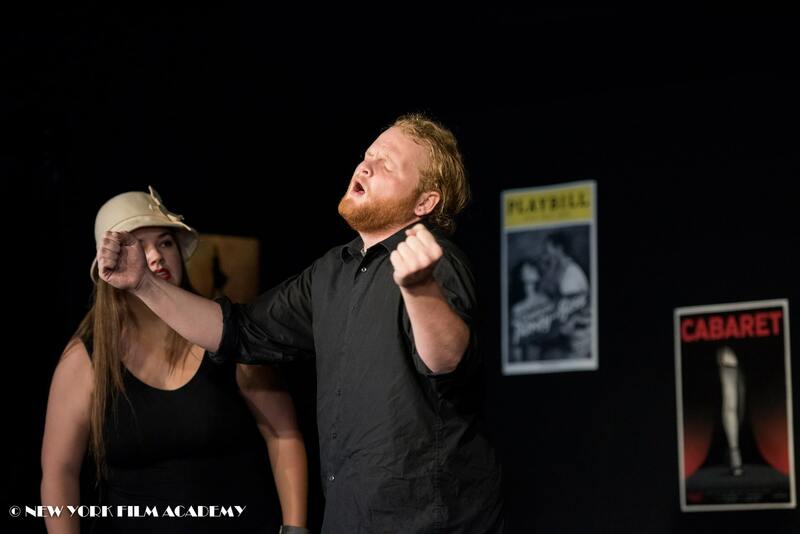 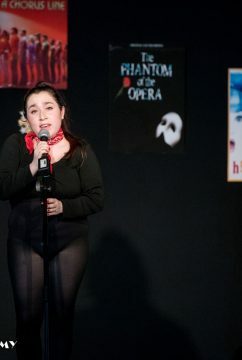 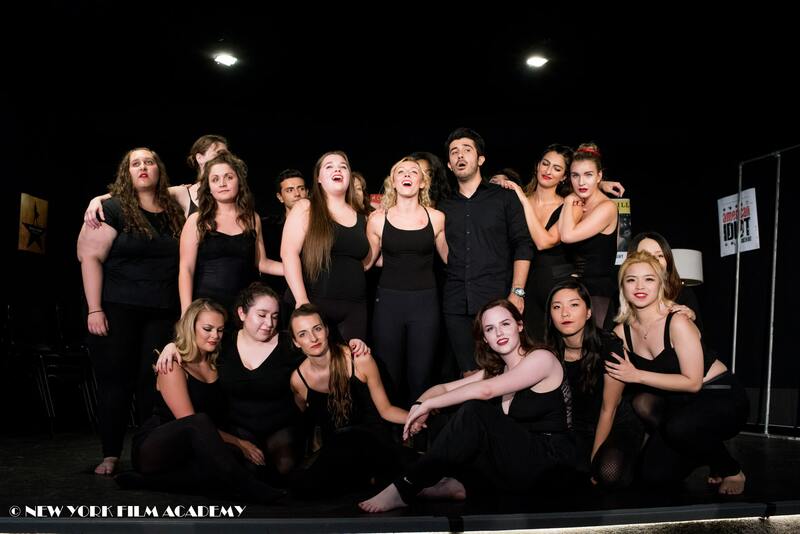 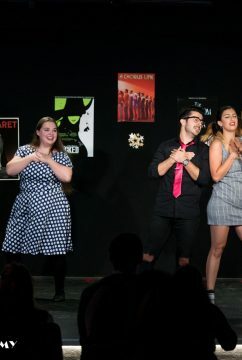 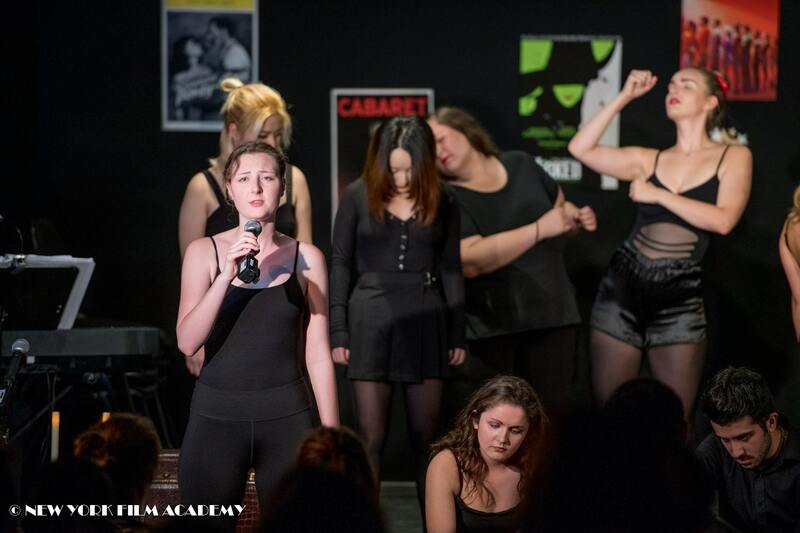 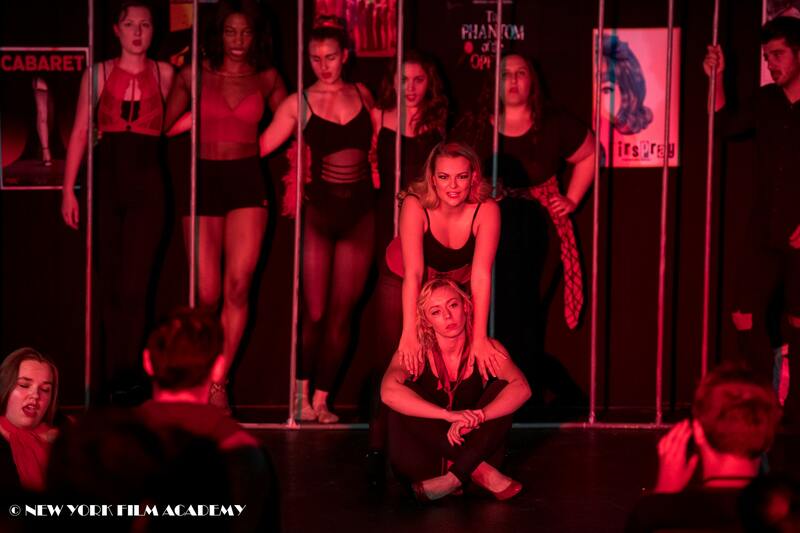 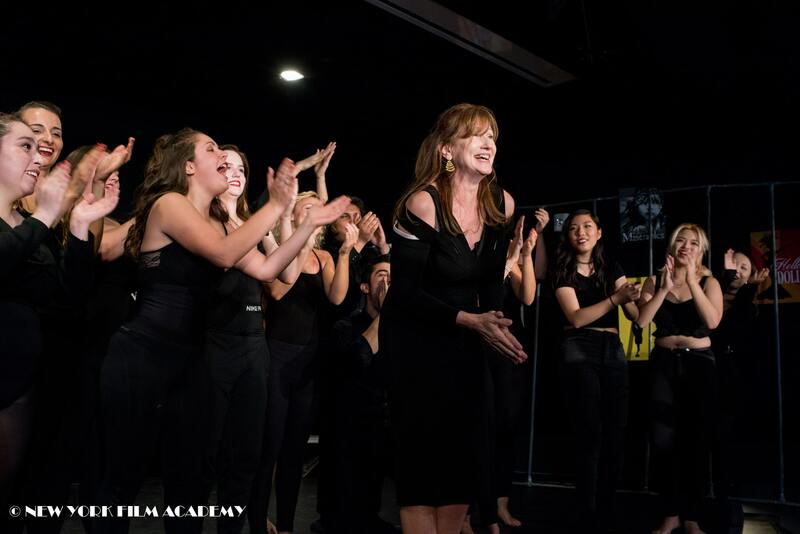 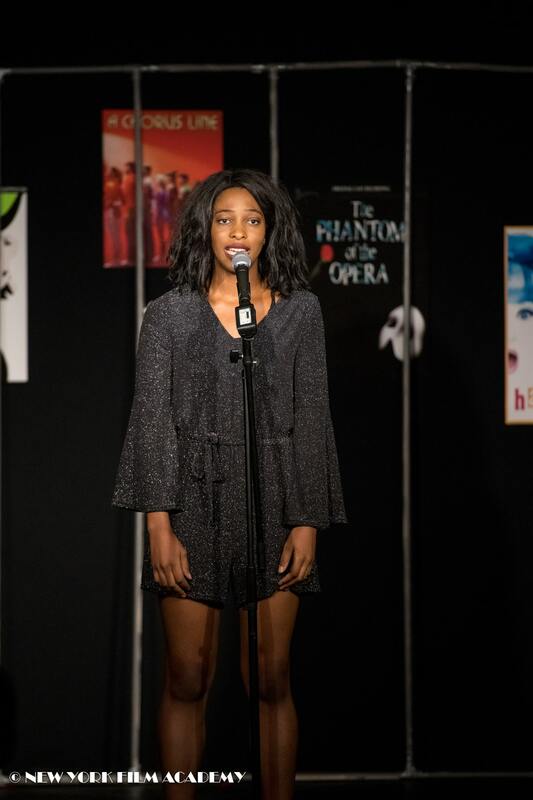 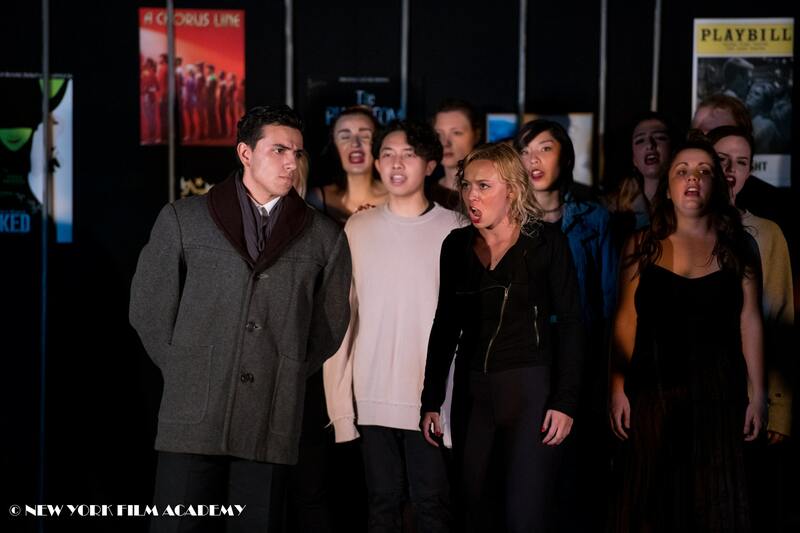 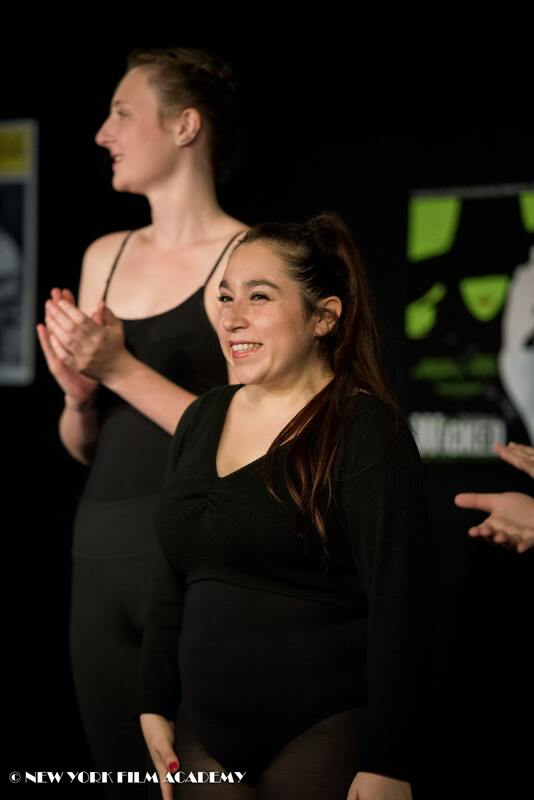 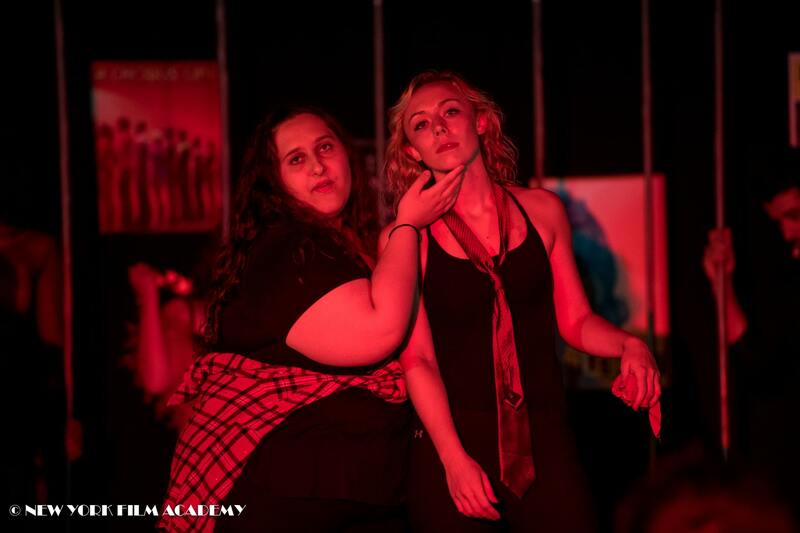 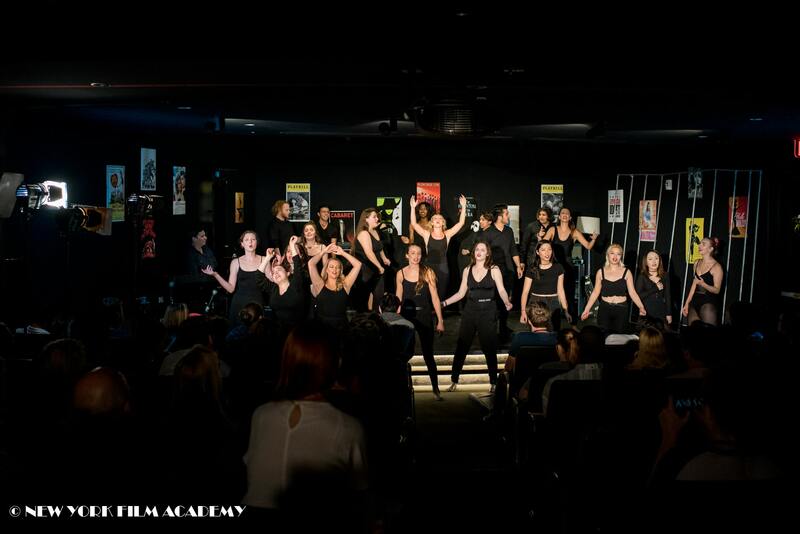 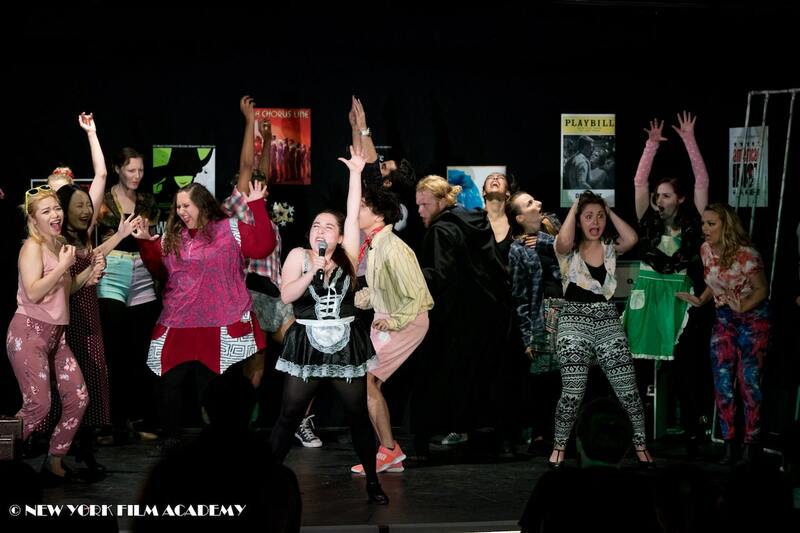 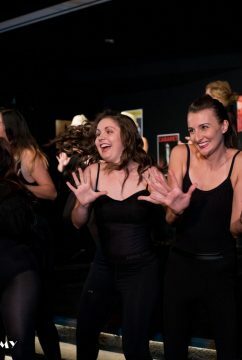 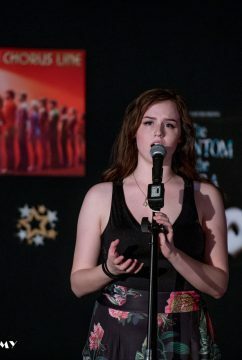 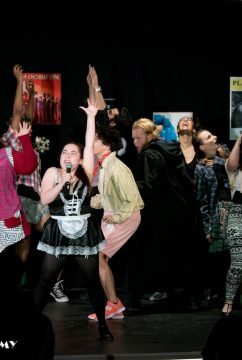 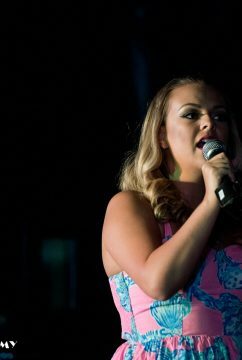 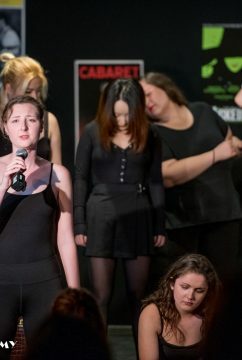 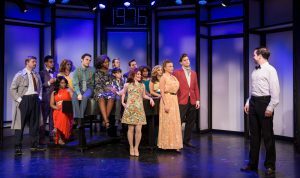 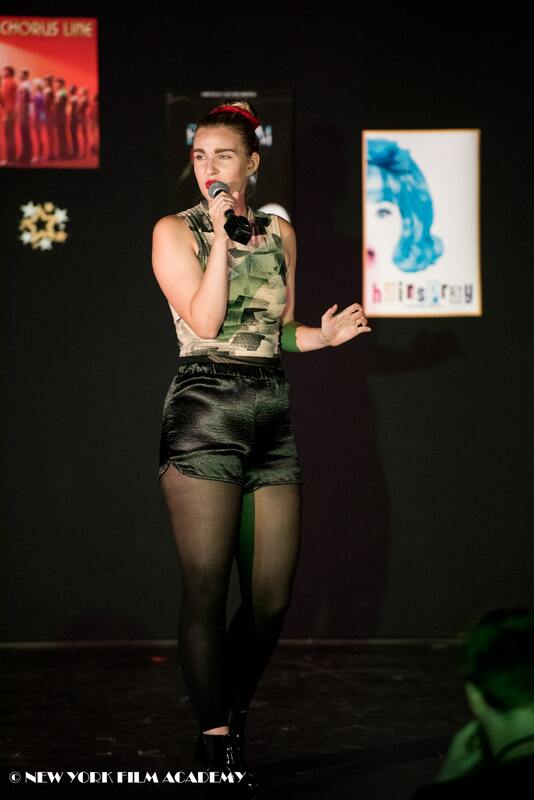 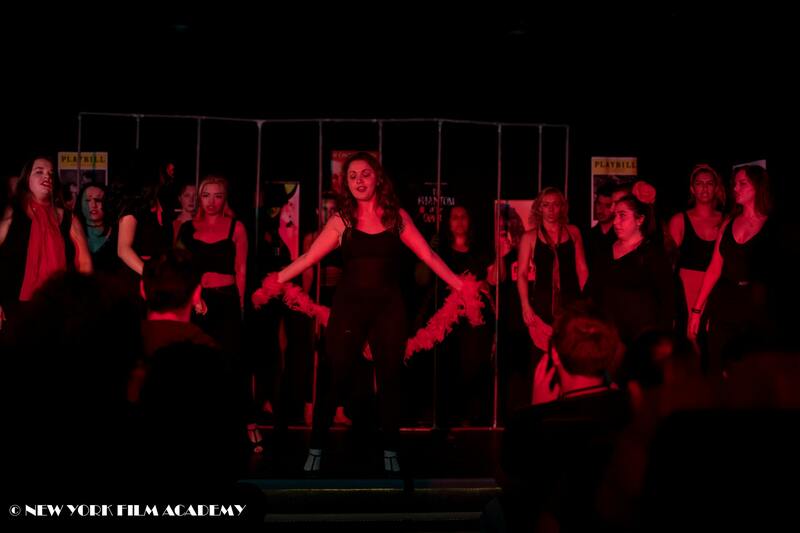 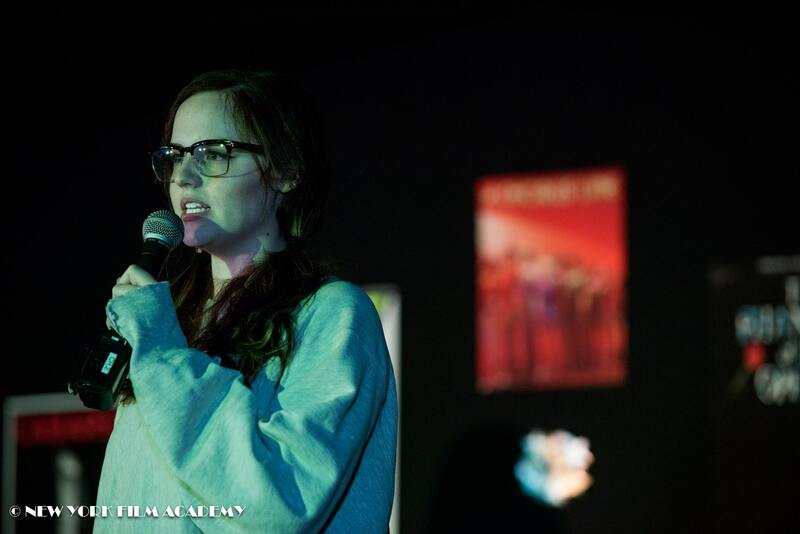 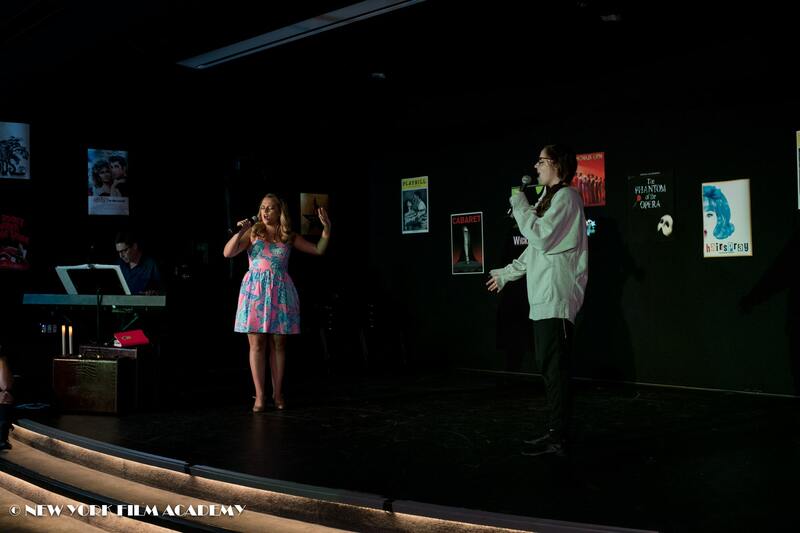 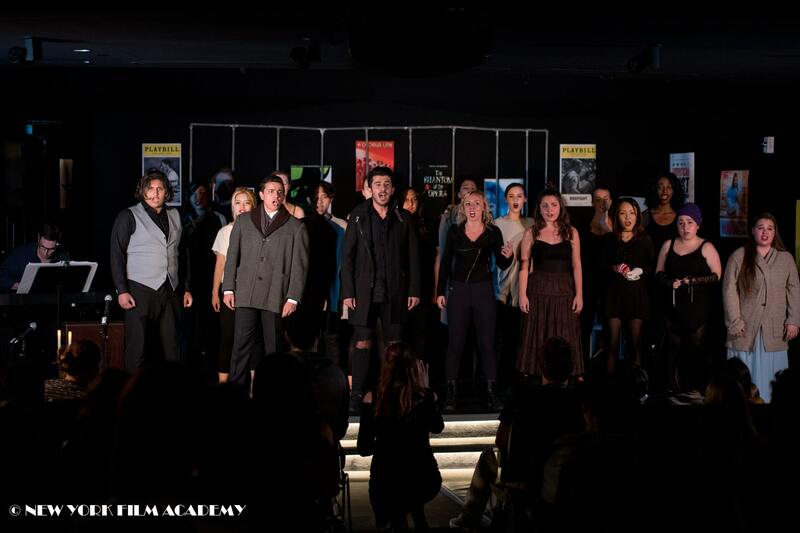 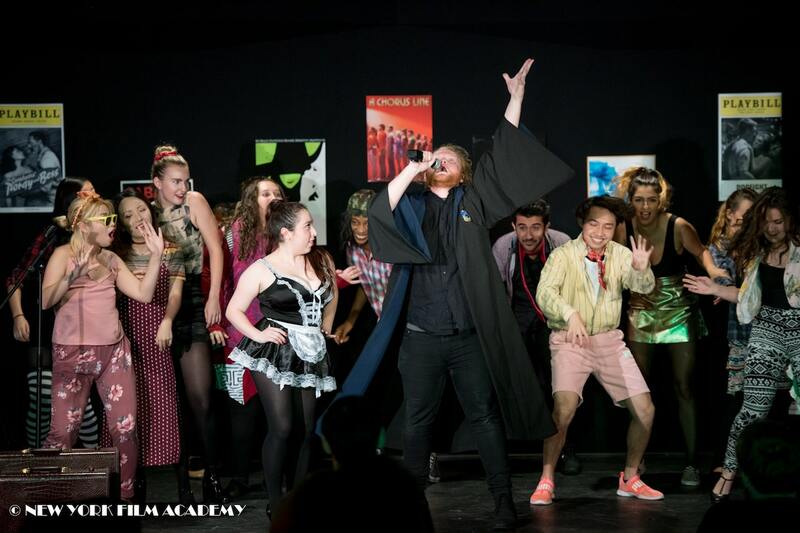 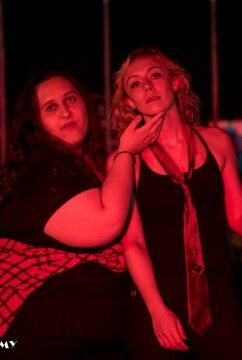 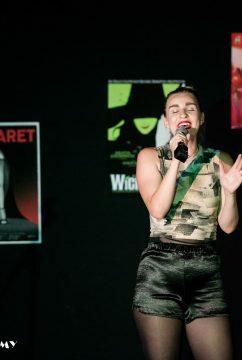 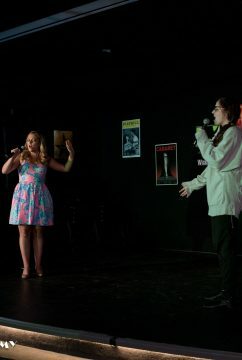 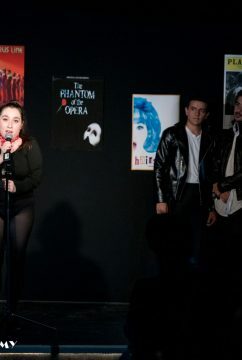 NYFA’s Musical Theatre production of “Merrily We Roll Along” was a huge success in more ways than one. 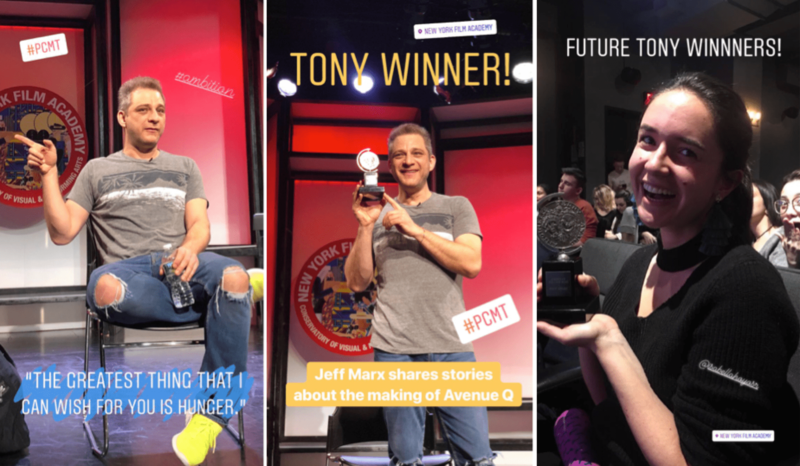 After each performance, NYFA students and cast members collected money in the signature red buckets from Broadway Cares/Equity Fights AIDS, the nonprofit that’s been raising funds for people living with HIV and other life-threatening illnesses for nearly thirty years. 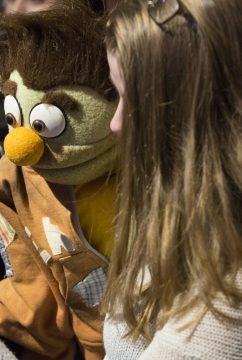 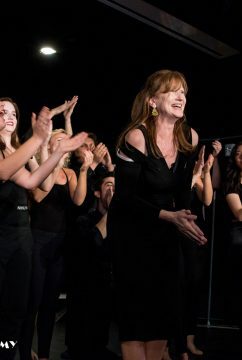 It has become a proud tradition for Broadway shows to address their audiences directly for this incredibly worthwhile cause. 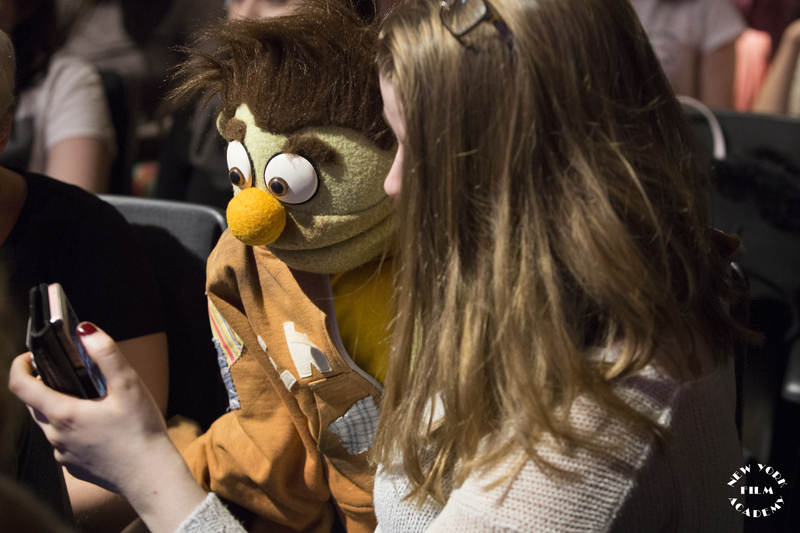 Since its inception, Broadway Cares has raised over $285 million—money that has been awarded as grants to social service organizations in all 50 states. It is not uncommon to see our Broadway faculty with the red buckets on the Broadway stage raising money for Broadway Cares. 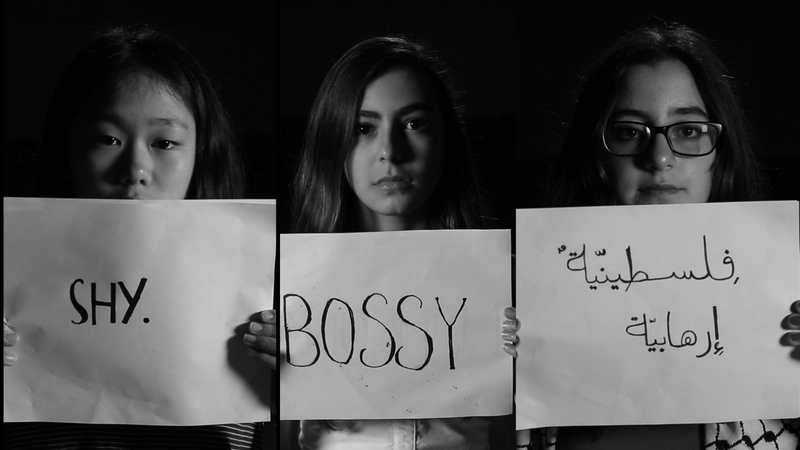 And now our students are passing on this legacy. 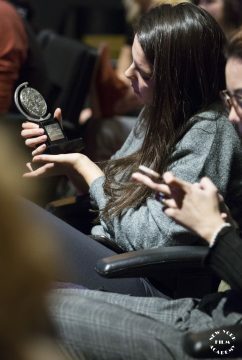 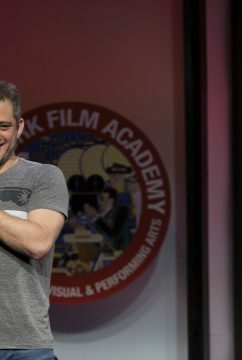 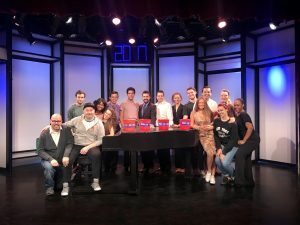 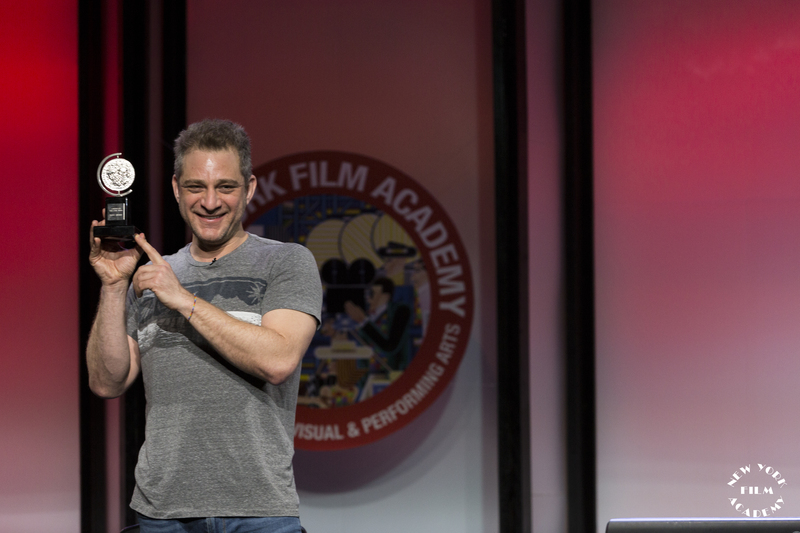 With the cast and crew of “Merrily We Roll Along” supporting this fundraising effort, the New York Film Academy became the very first conservatory to join Broadway with the red bucket appeal. 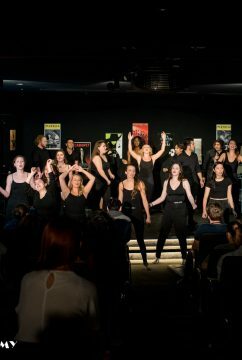 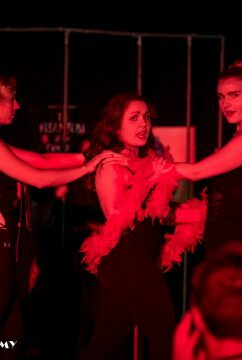 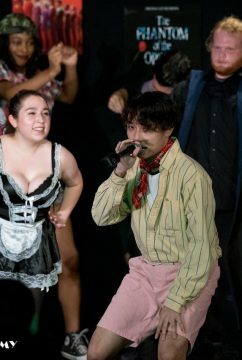 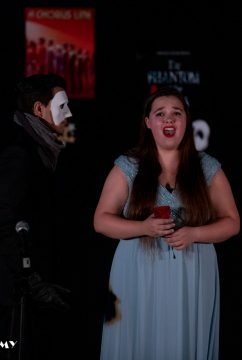 In just one weekend of performances from our 100-seat theatre, our students and community were able to raise $1,050 for Broadway Cares/Equity Fights AIDS! 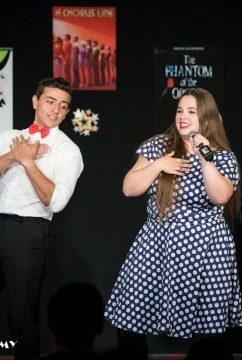 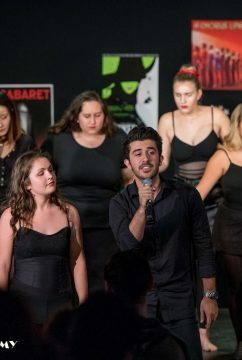 Needless to say, we are very proud of the Professional Conservatory of Musical Theatre program for their fantastic effort and we are thrilled to be aligned with the great work of Broadway Cares. 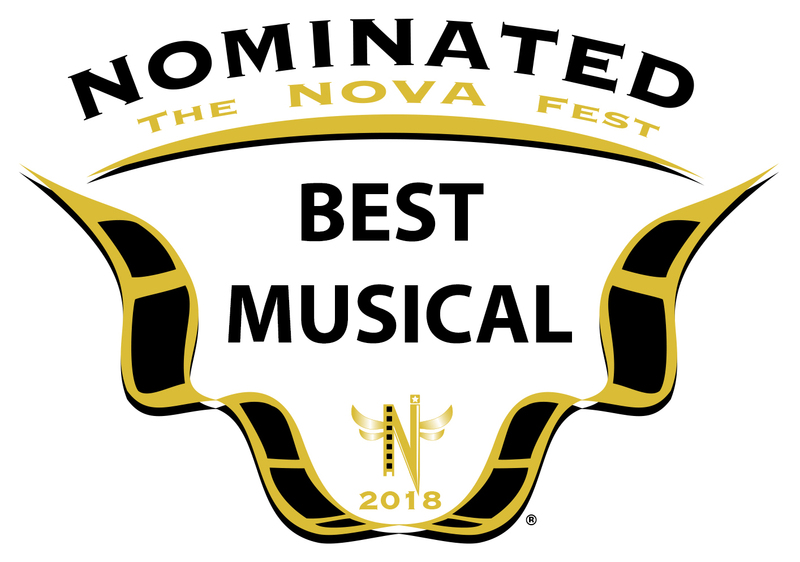 We will continue these efforts with the red buckets during our main stage productions and proudly stand as the leading conservatory in the fight to help provide lifesaving medication, healthy meals, and emergency assistance to those who need them most. 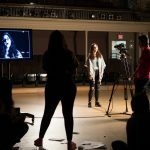 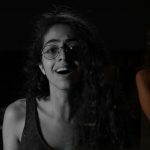 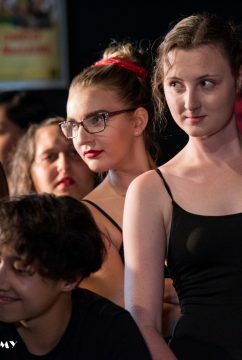 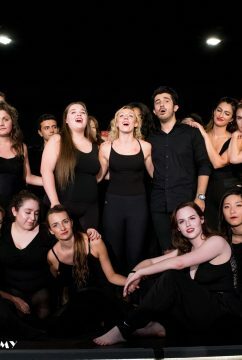 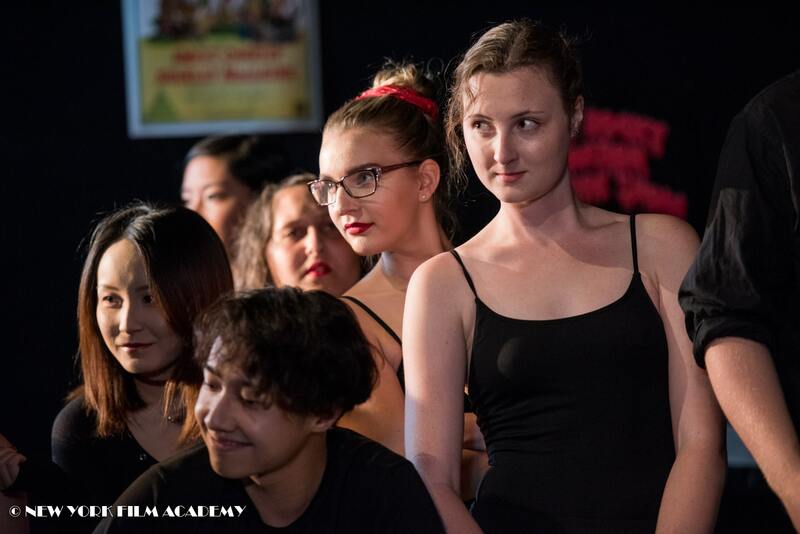 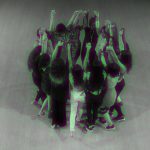 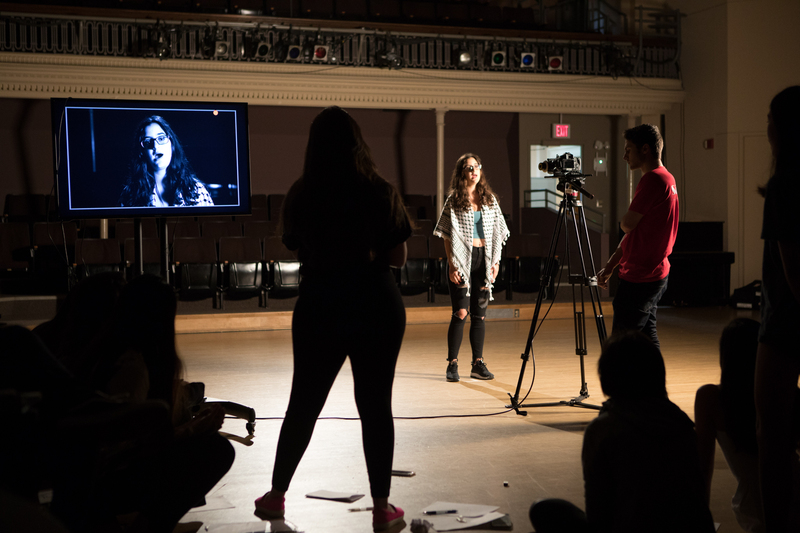 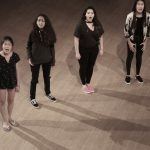 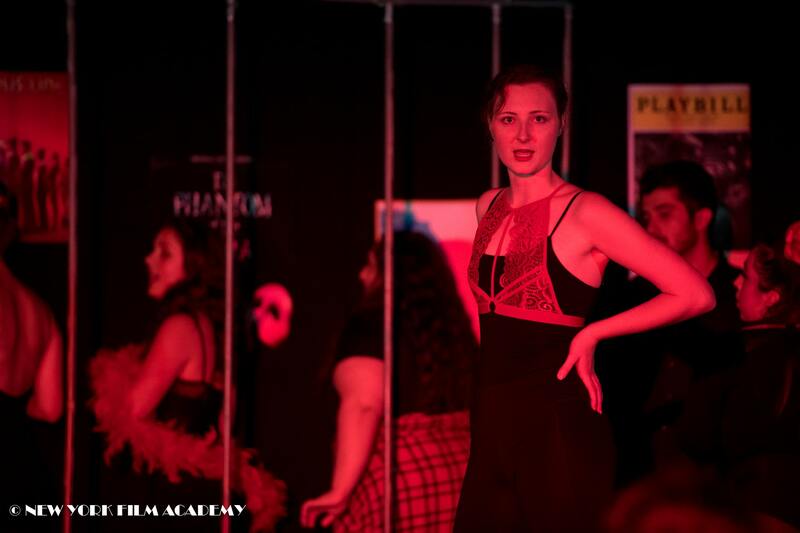 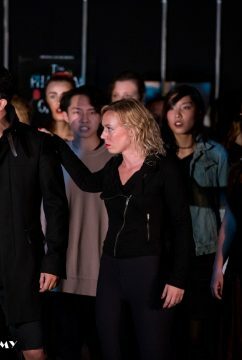 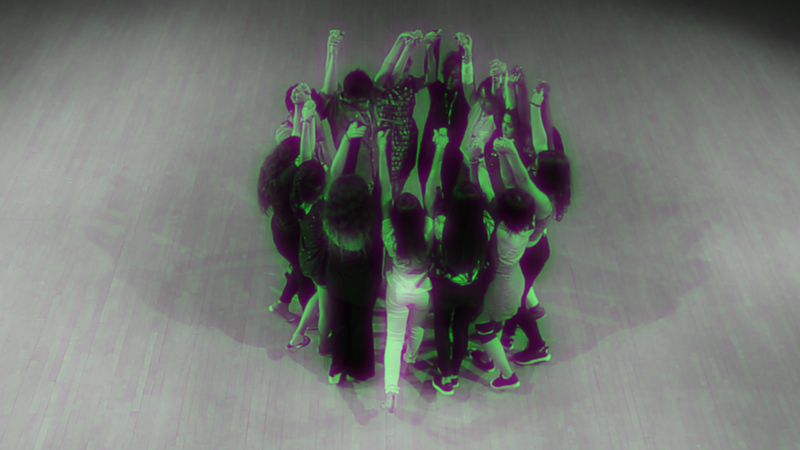 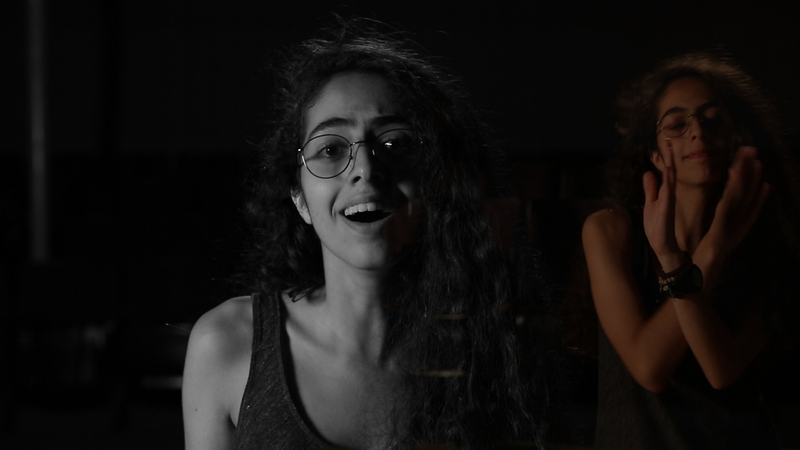 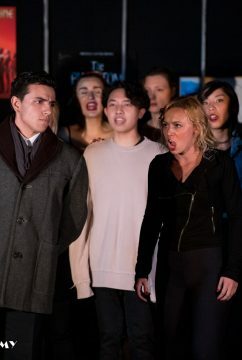 This summer, NYFA Harvard students from around the world had collaborated and performed in a unique and empowering music video project as part of NYFA’s musical theatre workshops. 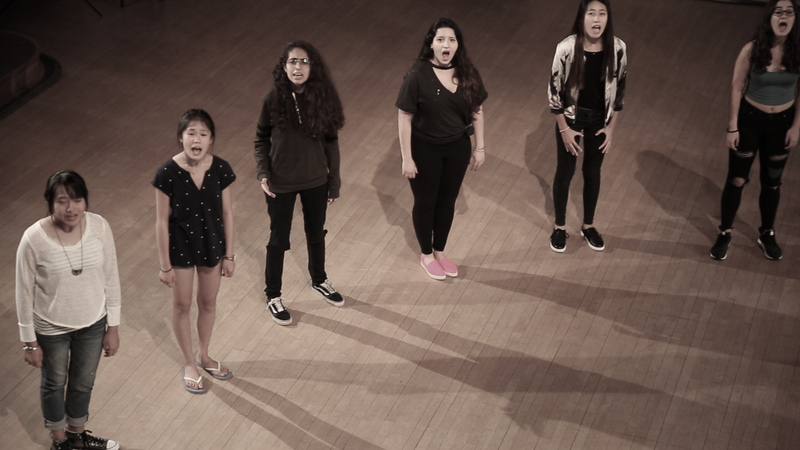 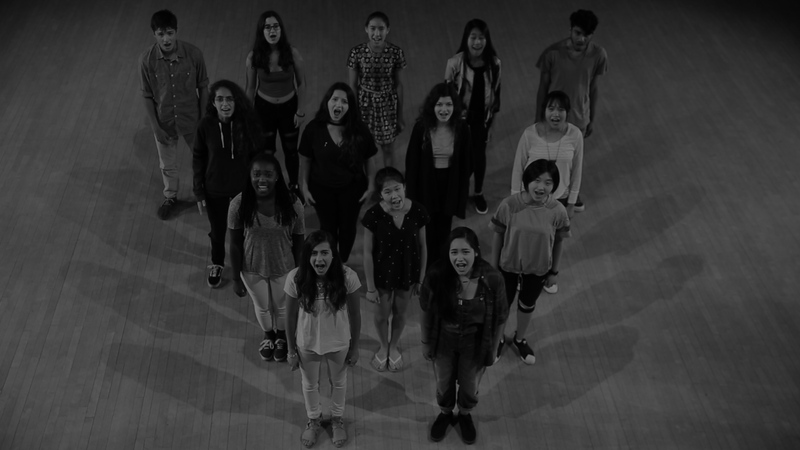 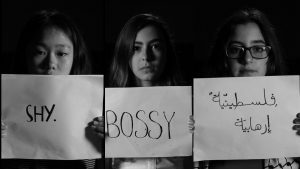 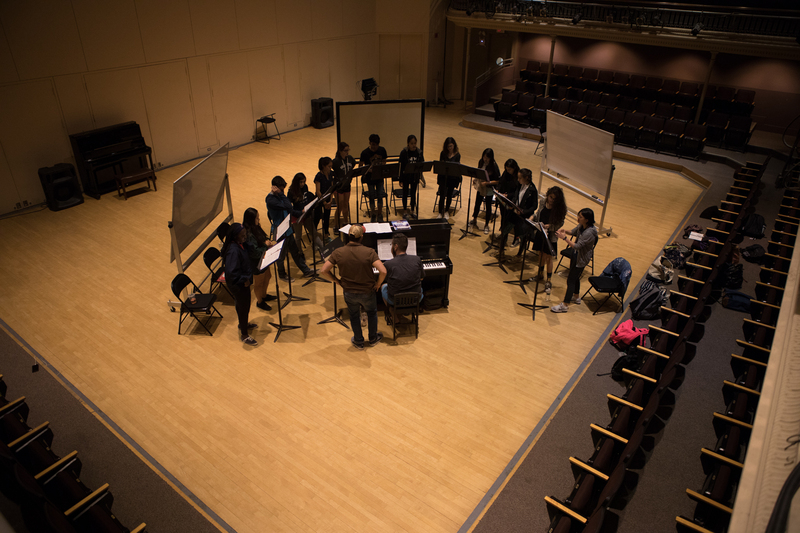 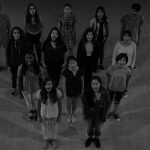 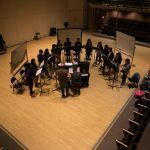 Performing their own vocals in a cover of Sia’s powerful ballad “Bird Set Free,” students created a piece that celebrates the diverse voices and in our international community, as well as the liberating power of the visual and performing arts. 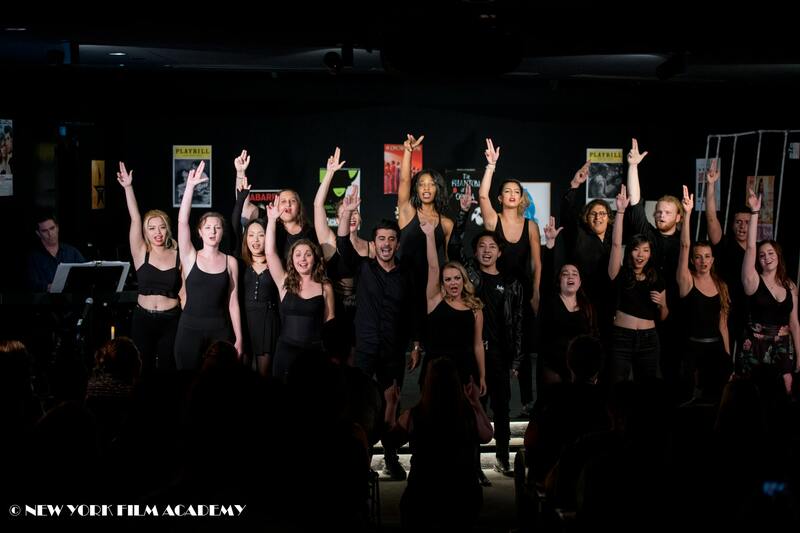 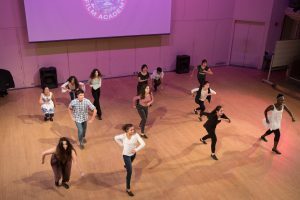 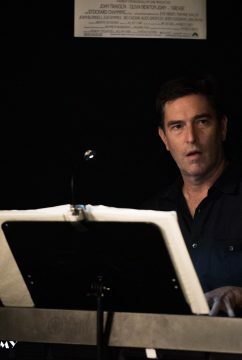 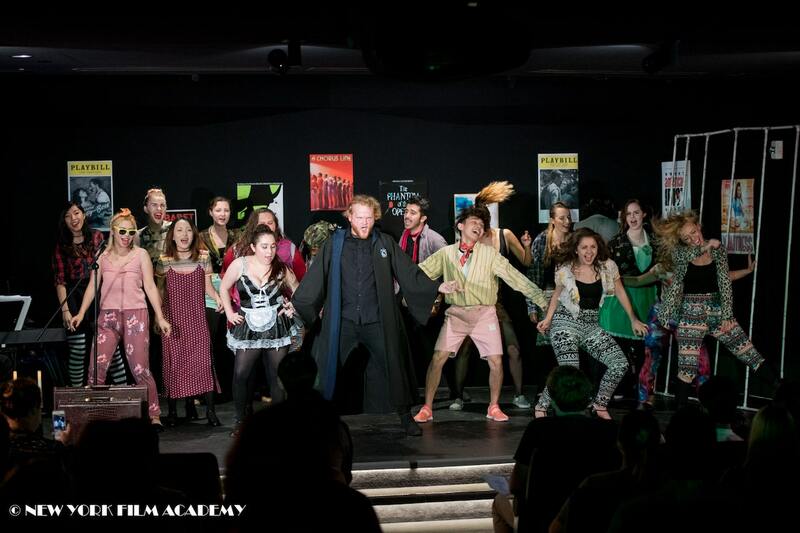 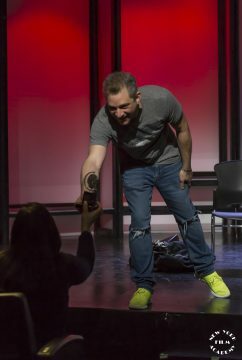 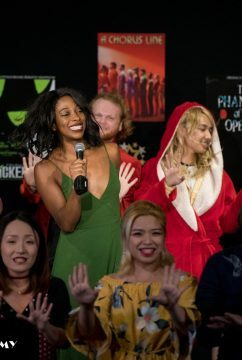 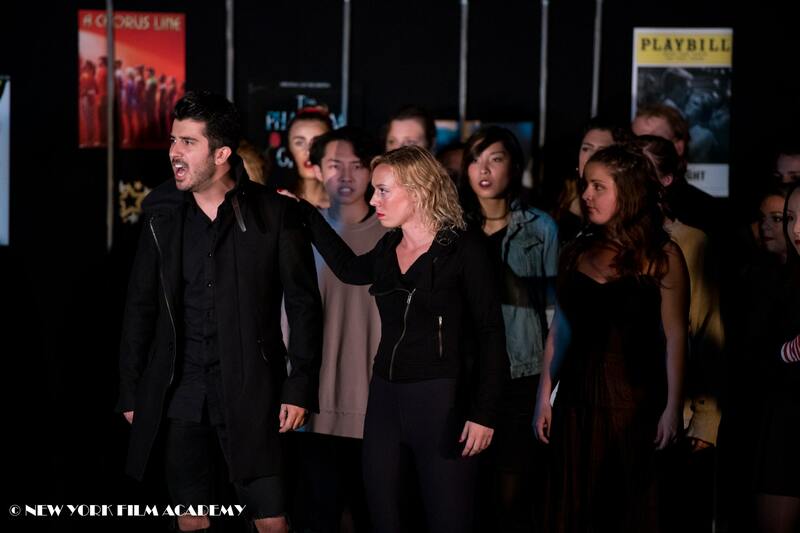 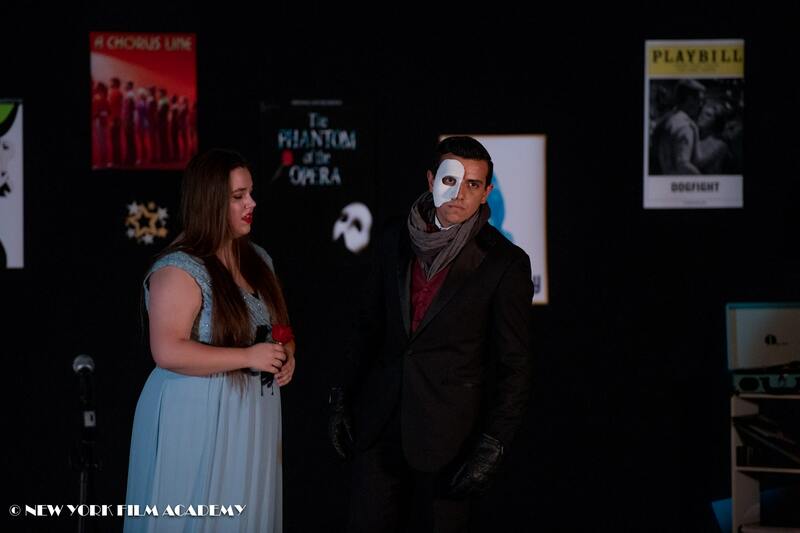 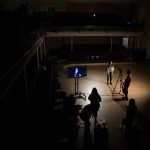 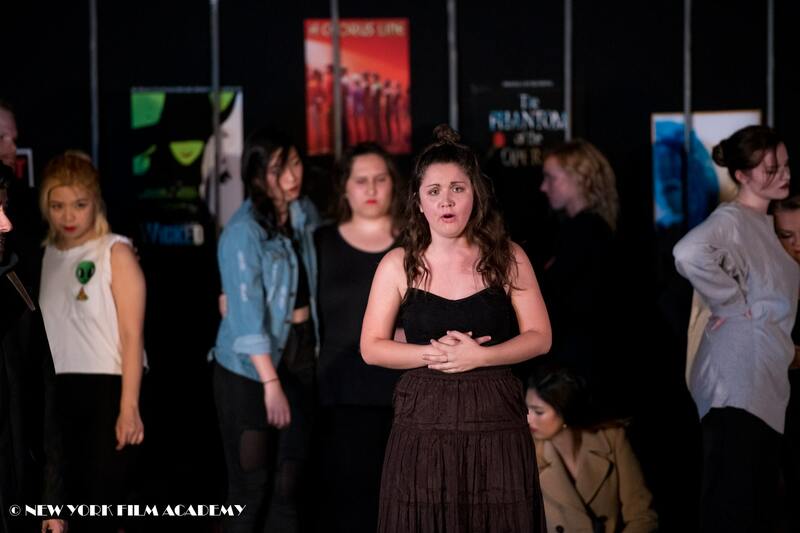 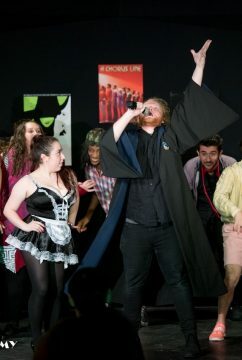 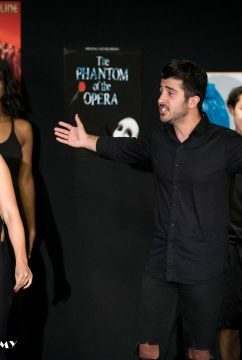 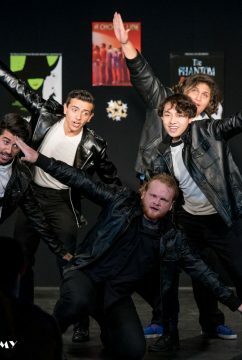 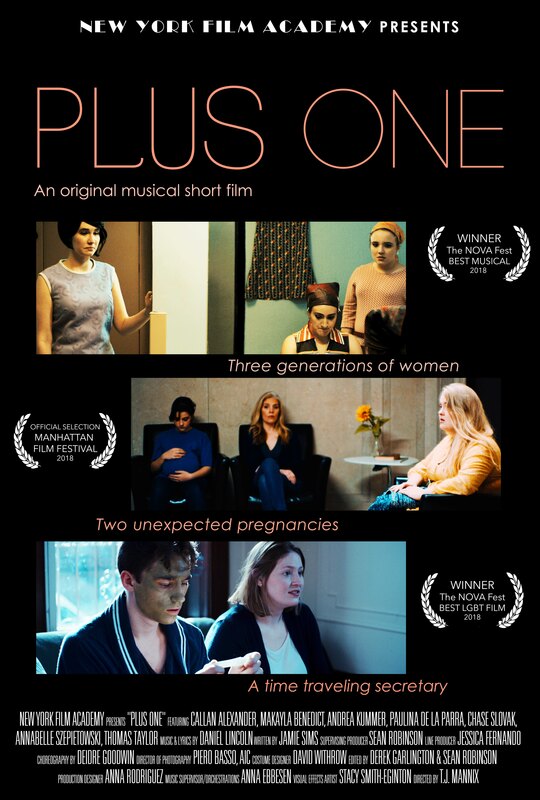 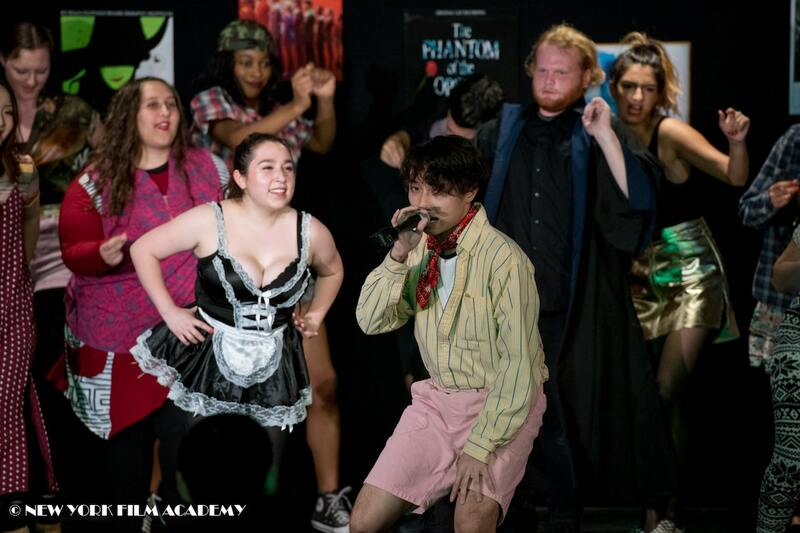 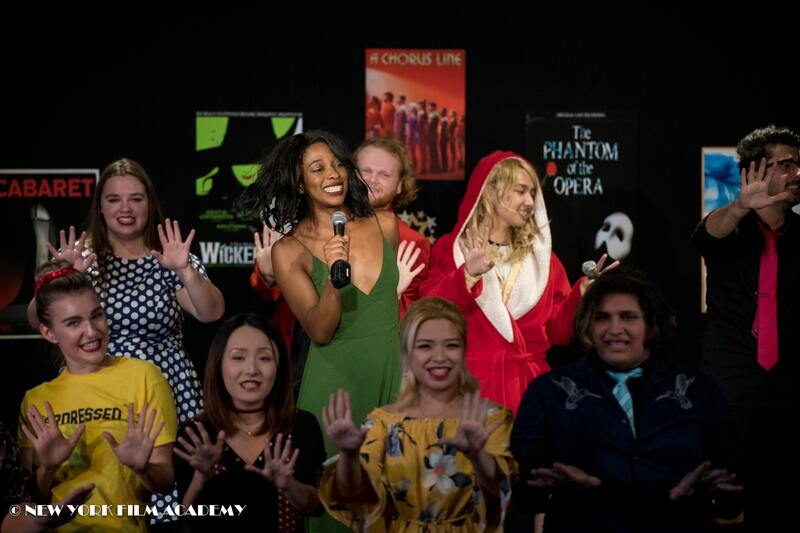 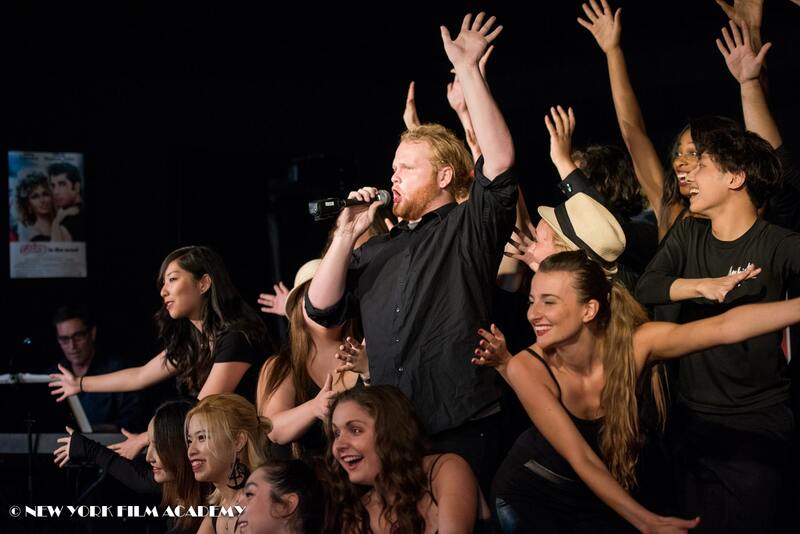 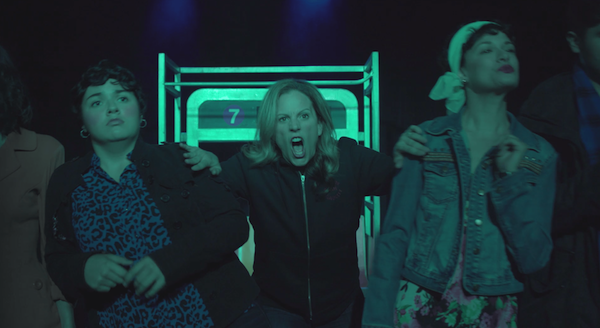 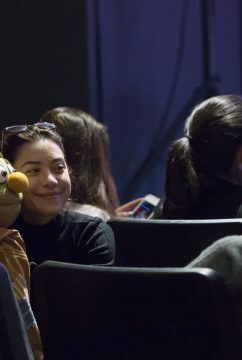 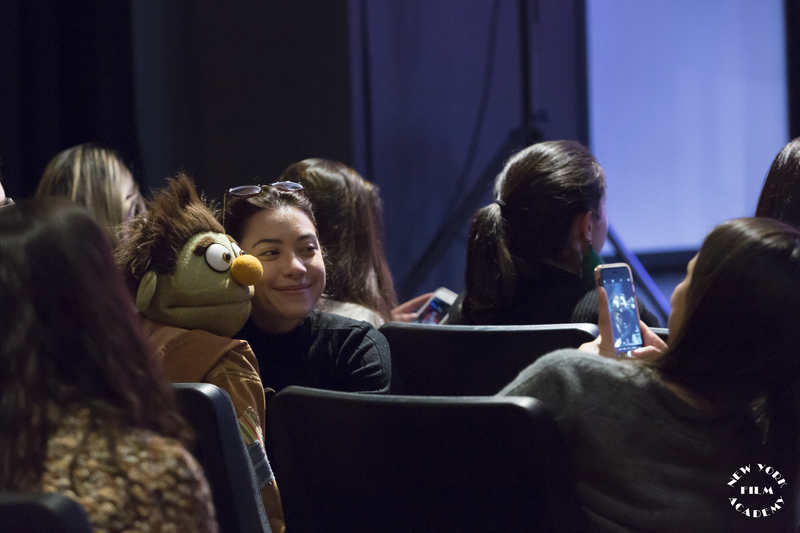 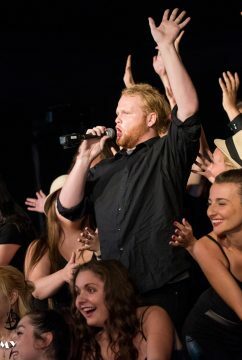 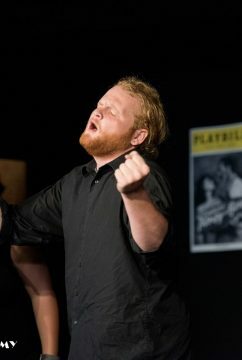 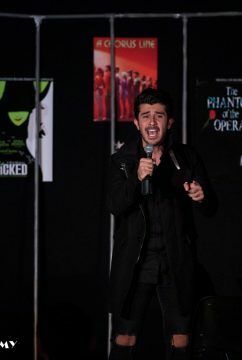 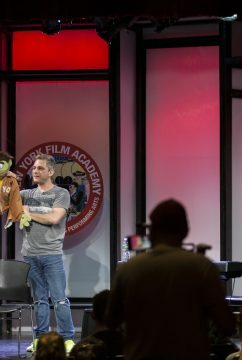 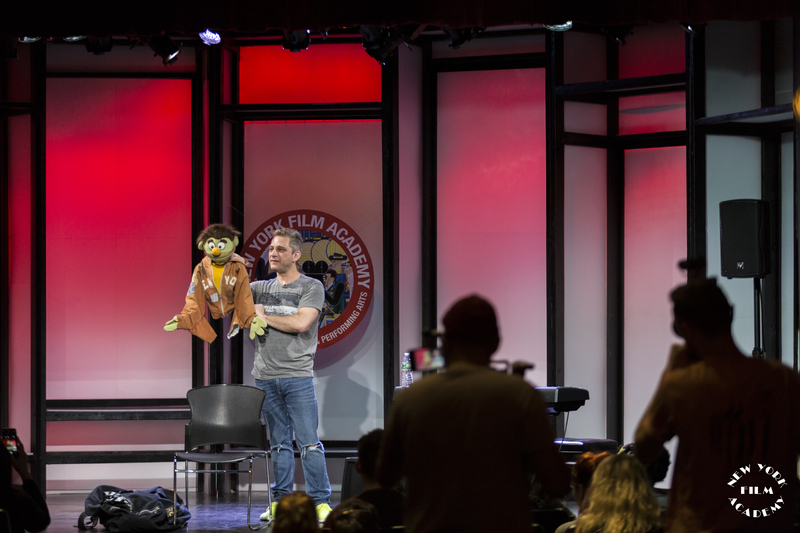 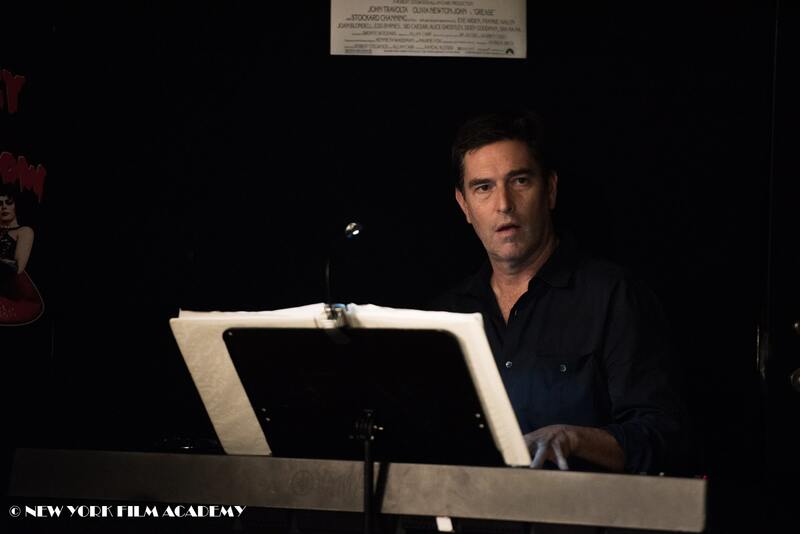 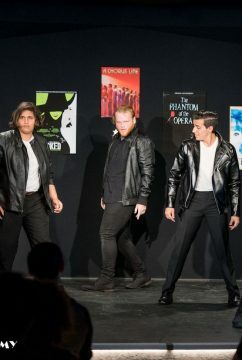 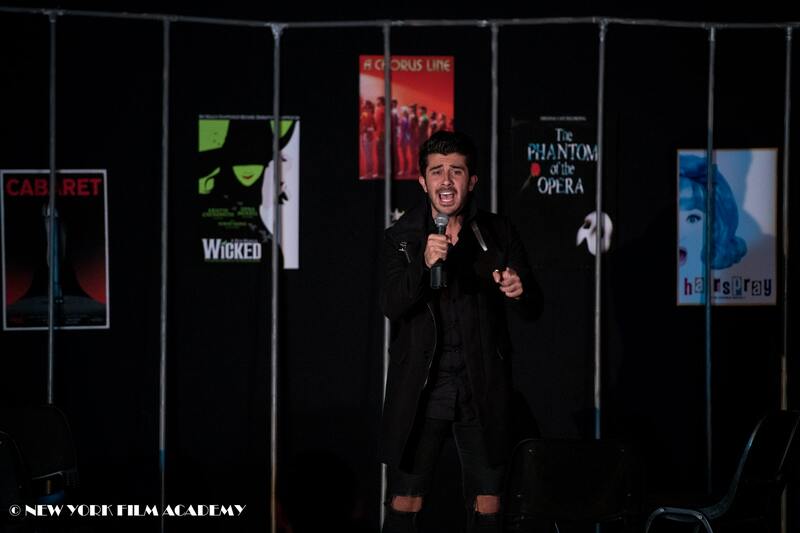 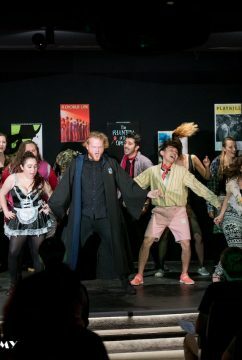 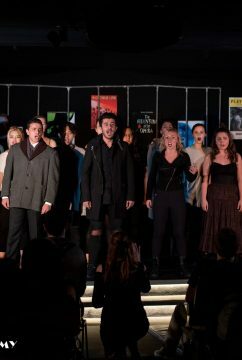 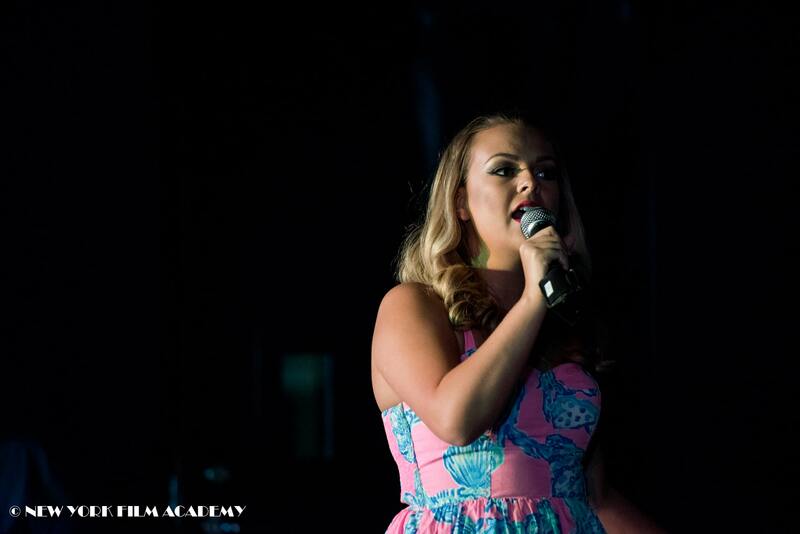 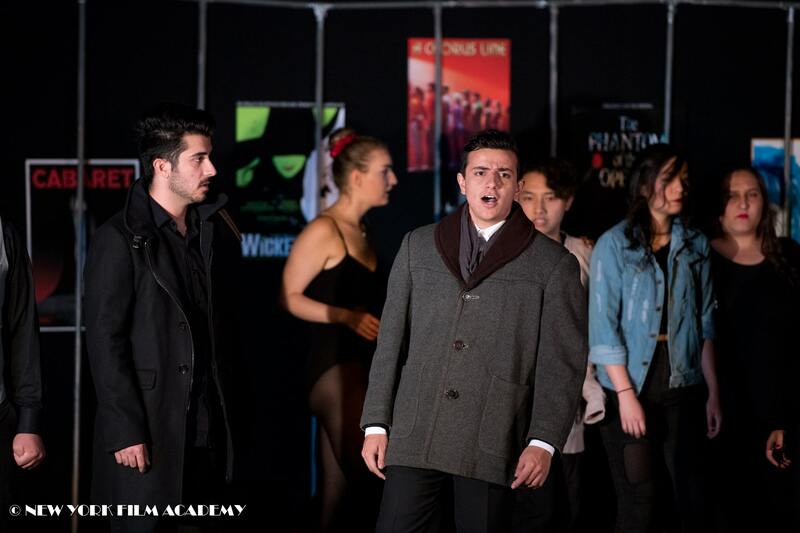 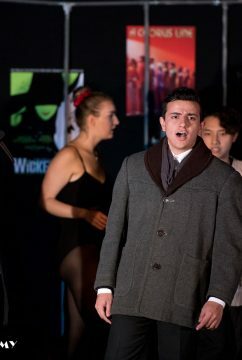 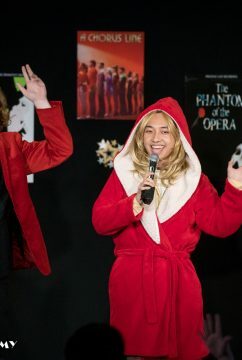 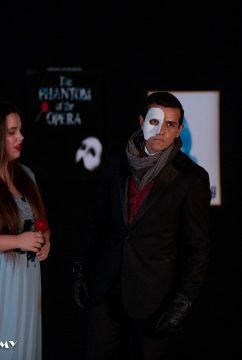 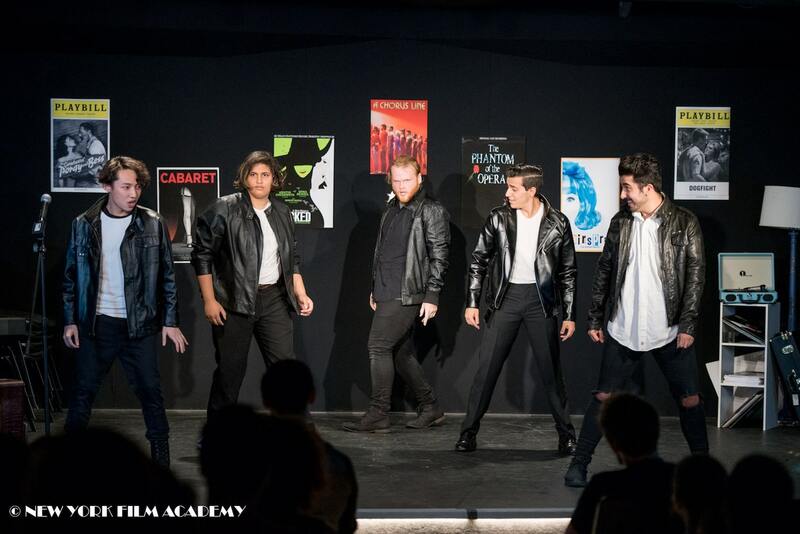 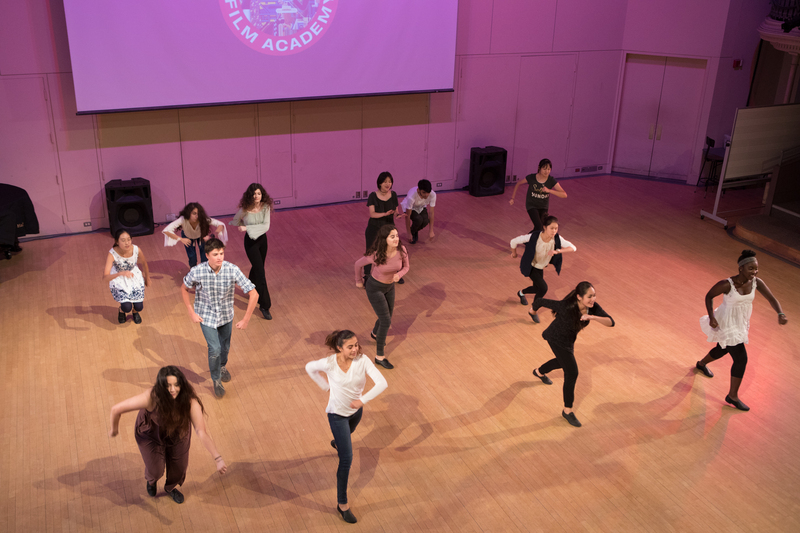 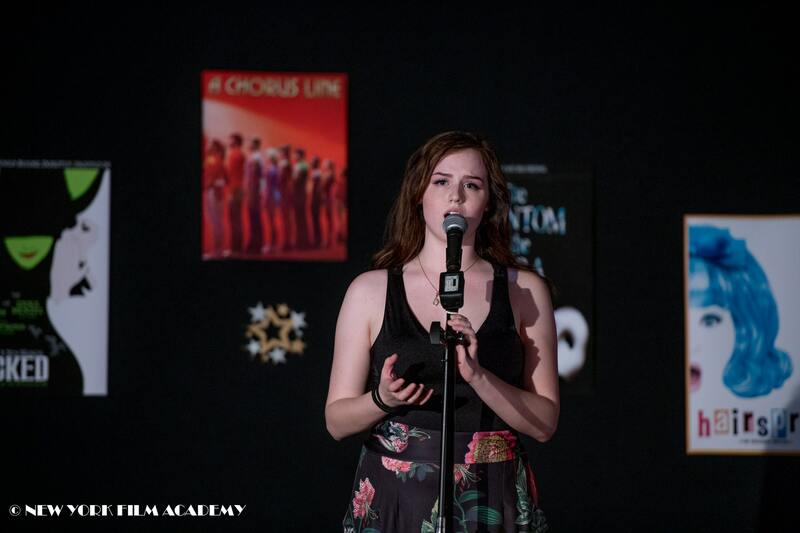 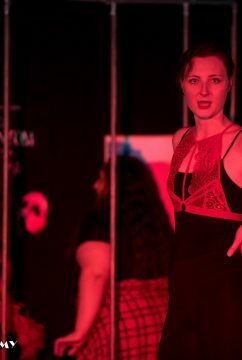 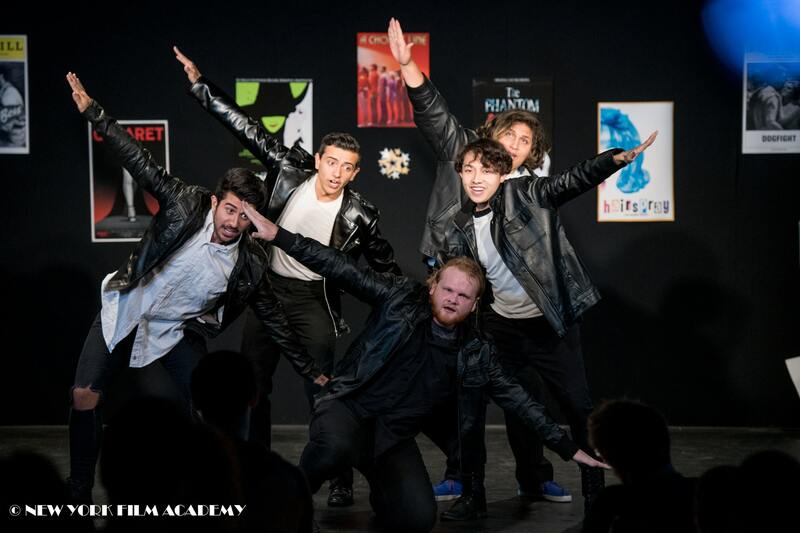 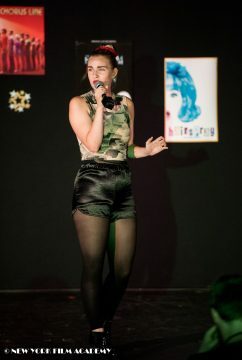 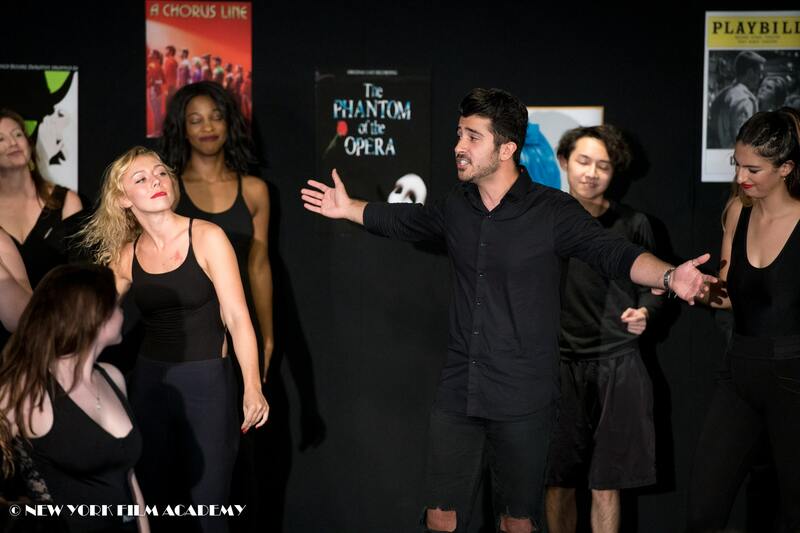 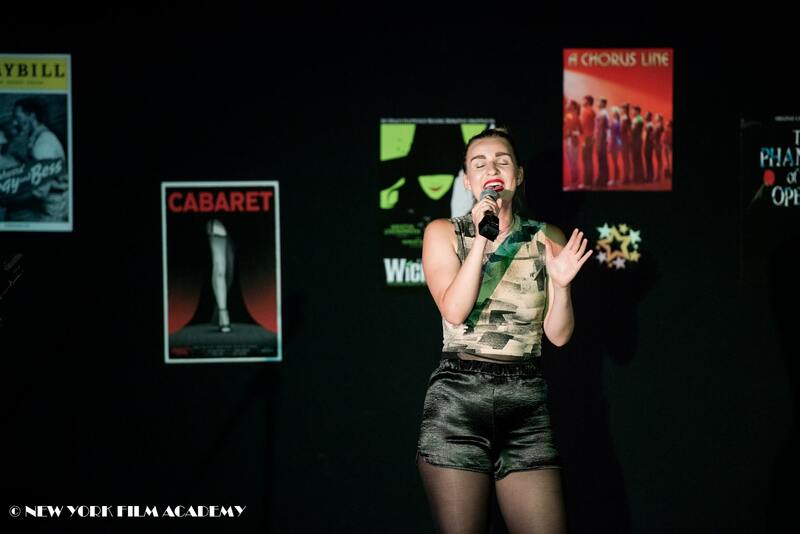 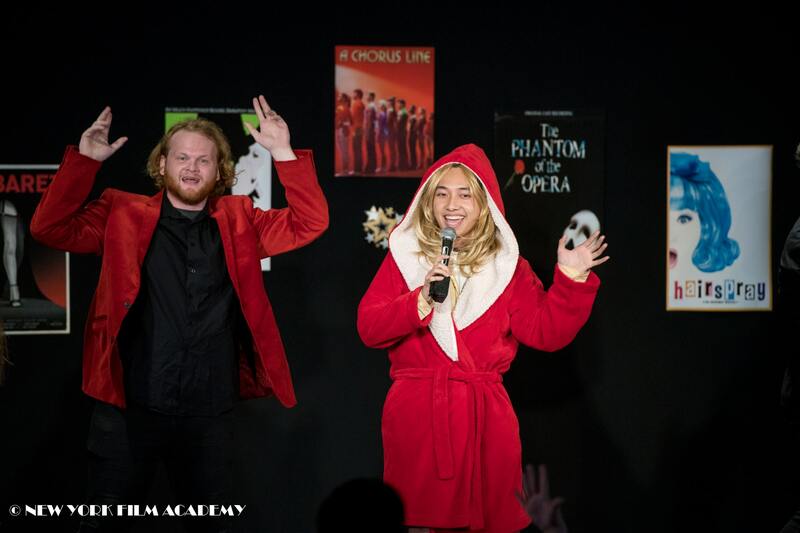 NYFA Musical Theatre Instructor Bobby Cronin led the music video project, which is as a part of the NYFA curriculum he developed alongside Musical Theatre Chair Mark Olsen and Shani Patel to help students gain insight into the potential power of musical storytelling in film as well as live theatre. 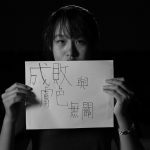 The group brainstormed together, and Bobby suggested the idea of using paper signs to represent an important battle each student felt they had struggled with individually, and the students loved it. 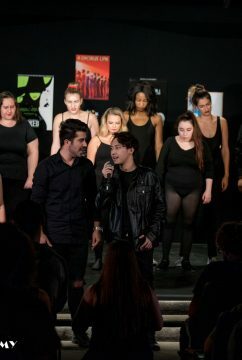 The students learned the song under the guidance of musical director William Demaniow, in an arrangement created by Bobby. 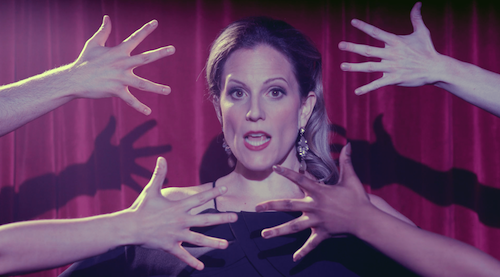 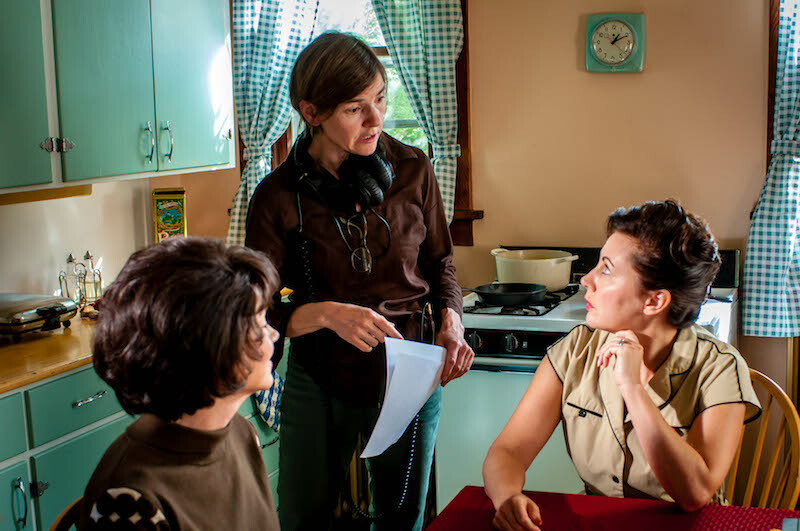 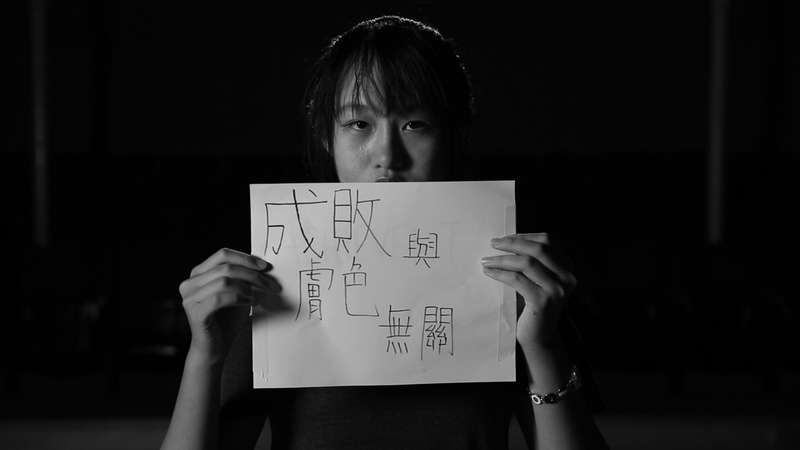 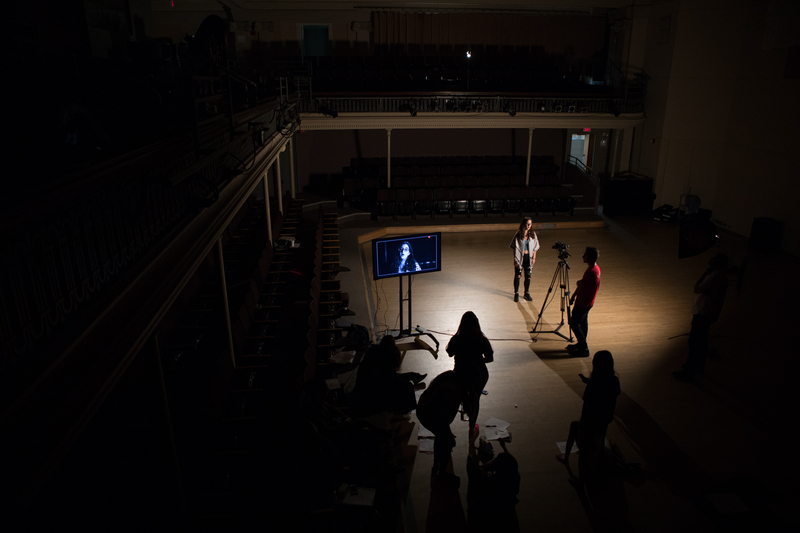 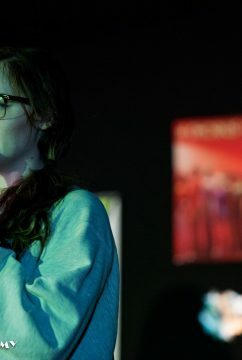 After recording the song with professional equipment, the faculty and student collaborators filmed the music video, which was poignantly edited by Elise Ahrens.